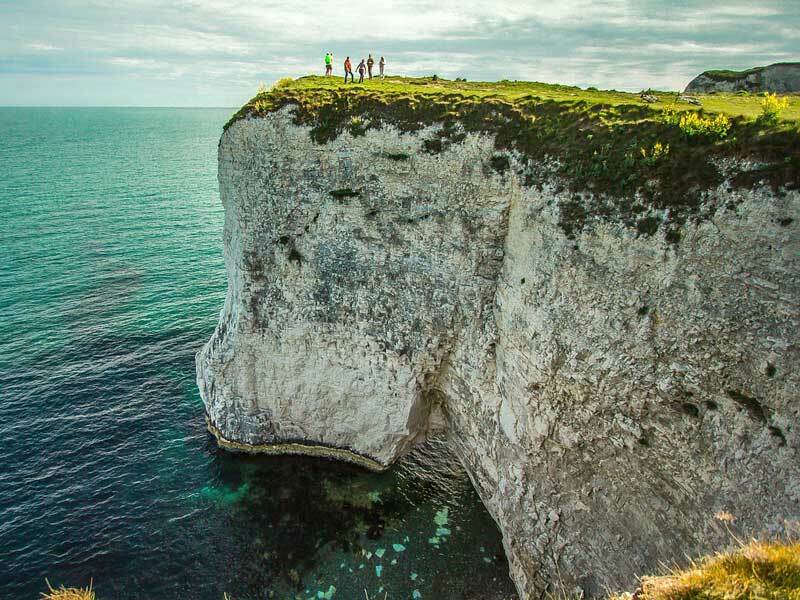 These iconic walks will give you the best of Purbeck as they visit the top sites and provide the best views. 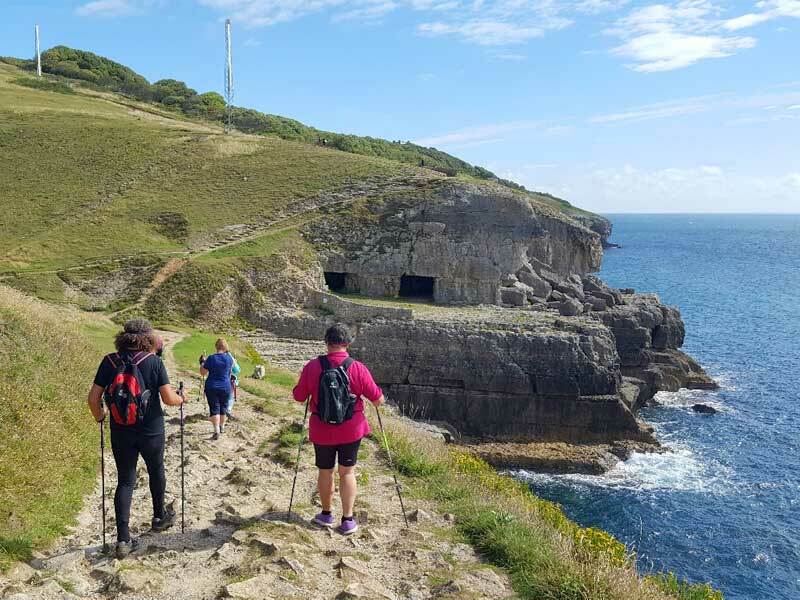 Venturing along the coastal paths and through the unique landscape of Purbeck they will be repeated during Friday and Sunday to ensure as many people as possible get to enjoy them. We have included a mix of distances and terrains so there will be something for everybody. You can choose whether to take a longer walk and explore the area or include a few shorter ones in order to get see the whole area on foot. Either way we will be giving a prize for the most miles covered in 3 days! All walks will be lead by qualified instructors or walk leaders and will be bookable in advance All you need to do is register for your chosen days and we will send you the full schedule for the days you have selected so you can plan your Festival and book into those that take your fancy (priority given in order of festival booking date). Another first for the Purbeck Festival! Let us transport you to Kingston for an authentic Jerk Shack experience of delicious food cooked over oil drums and served with a good dose of reggae music. 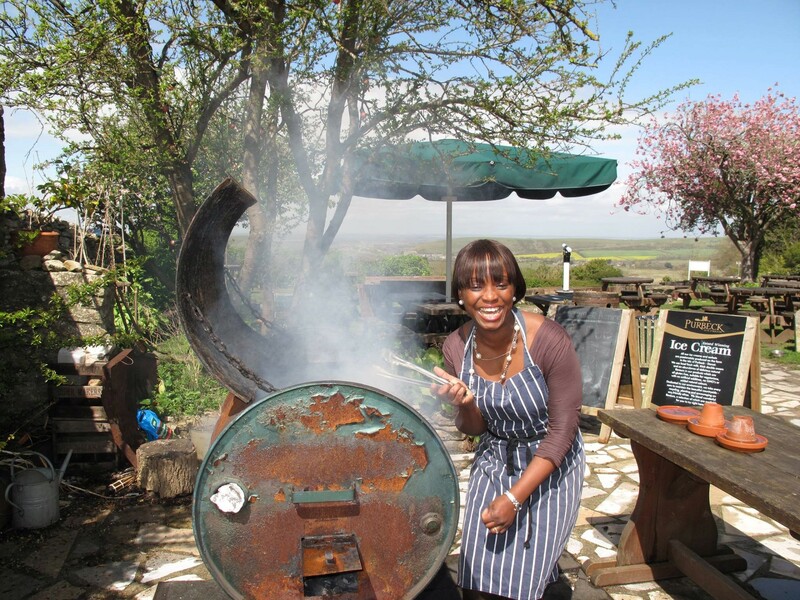 OK, so it’s the Village of Kingston in Purbeck and not Jamaica but your host Nicky does hail from the latter and her legendary fare even featured on BBC Countryfile. The menu includes Jerk chicken, Rice and Peas, Patties and all the usual Caribbean favourites which you can enjoy with Mango Juice or lovely local Ciders. 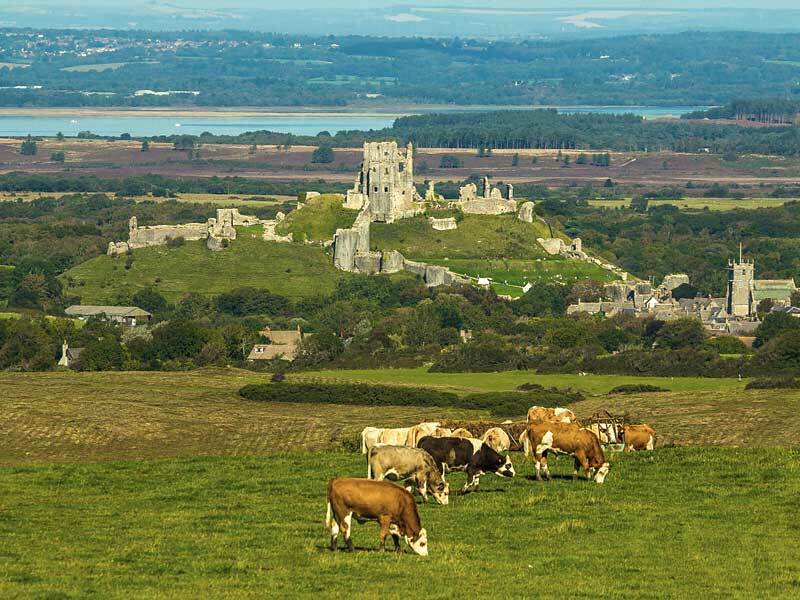 To top it all the Jerk Shack enjoys some of the finest views over Corfe Castle so there’s no better way to end a stunning walk along the coast path. This supper will be available to book separately from the walk too. This activity will carry additional charges. 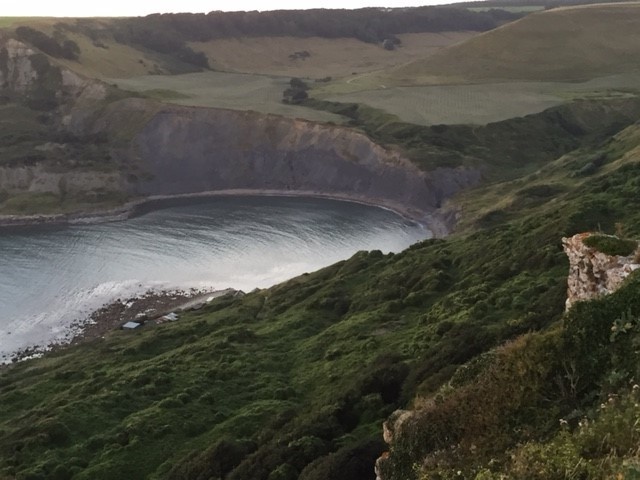 A breathtaking and informative walk that takes in Chapmans Pool, St Aldhems Head and its remote 12th Century Chapel plus a visit to the Coastguard station where the volunteers will show you how they keep watch over the treacherous seas below. In our tradition of supporting local organisations we have made a donation in return for this and a refreshing cuppa too! 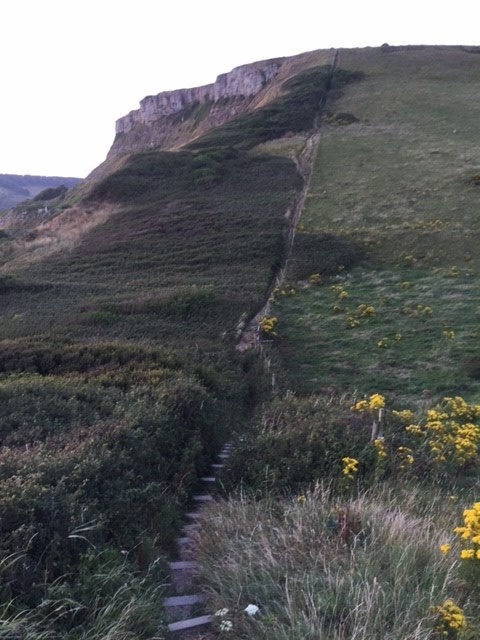 This walk does have one section with a steep drop into a cliff side gully with over 100 stone steps and a similar climb back up the other side! However, it’s part of the SW coastal path so whilst challenging is well trodden and well worth it! 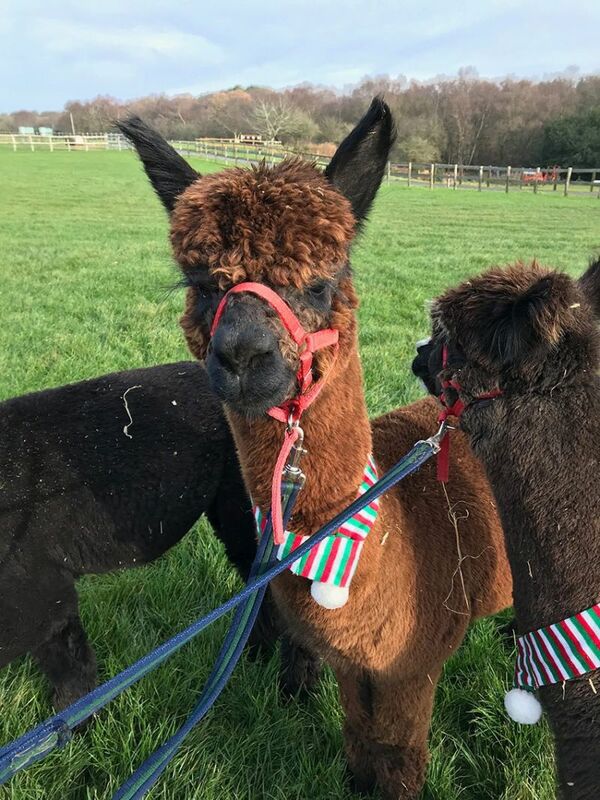 Enjoy a stunning woodland walk at a pace dictated by the characterful Alpacas from Longthorns Farm (a true Purbeck gem). This walk is pole free because you will learn how to handle an Alpaca and experience how they love to trek through a variety of terrain with their gentle calming manner. Truly relaxing, educational and with a massive aaah factor – we just know this will be a Purplebeck favourite in years to come! 50 minute walk – varied pace on slightly uneven terrain. One of our NEW Friday night Supper walks – This stunning location at the South end of Studland Beach is truly magical and accessed only on foot. Joes Café is a rustic surf shack style café with tables which look out onto the Bay. 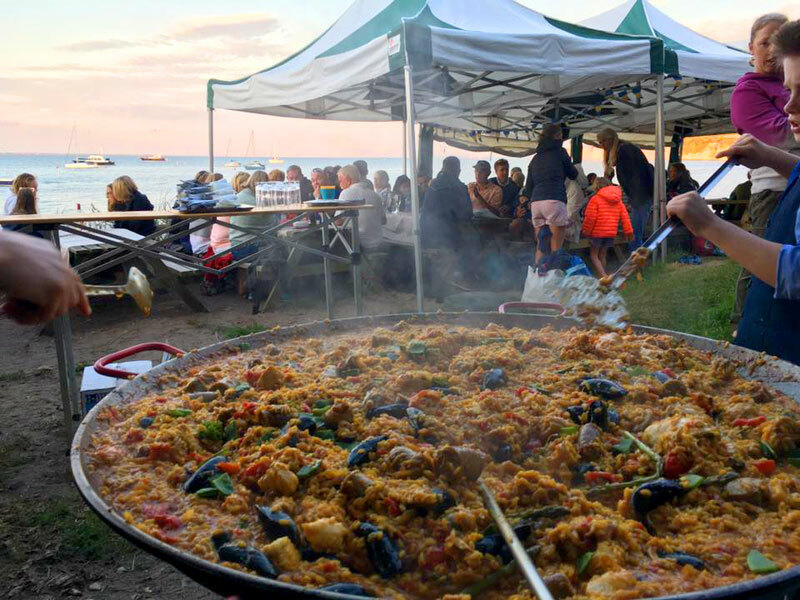 Come and watch the sunset as the huge Paella pan is fired up and the scent of Paprika fills the air! We will have two evening routes of different durations that will finish in time for you to join us for some iconic Purbeck beachside hospitality. 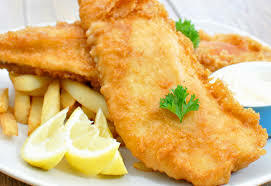 FRIDAY FIT n CHIPS SUPPER NIGHT! Oh yes! 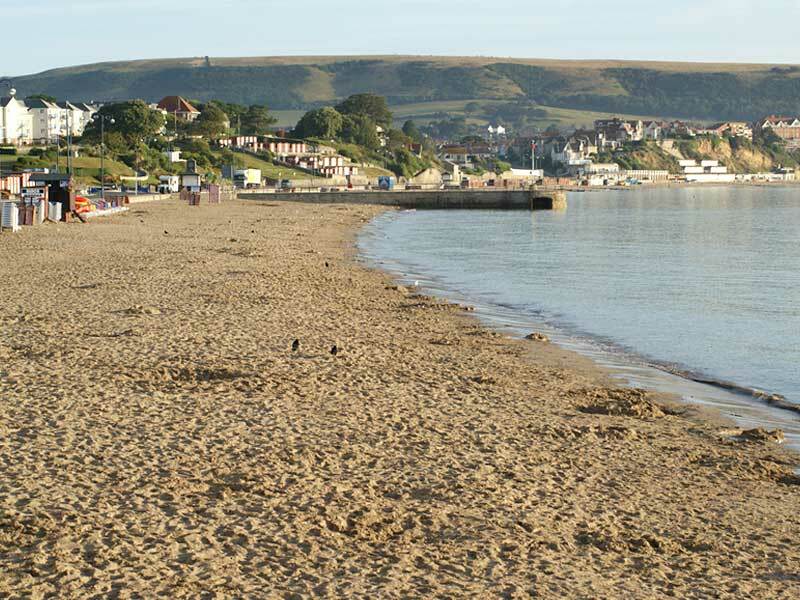 Swanage is famous for its delicious Fish and Chips and it’s also famous for our Hills and Drills sessions on the downs above the Pier! So we thought why not combine the two and lessen the impact of the chippy calories by having a fun workout walk first? Lots of fun nordic style exercises that work the whole body and include balance, toning, strength and CV. 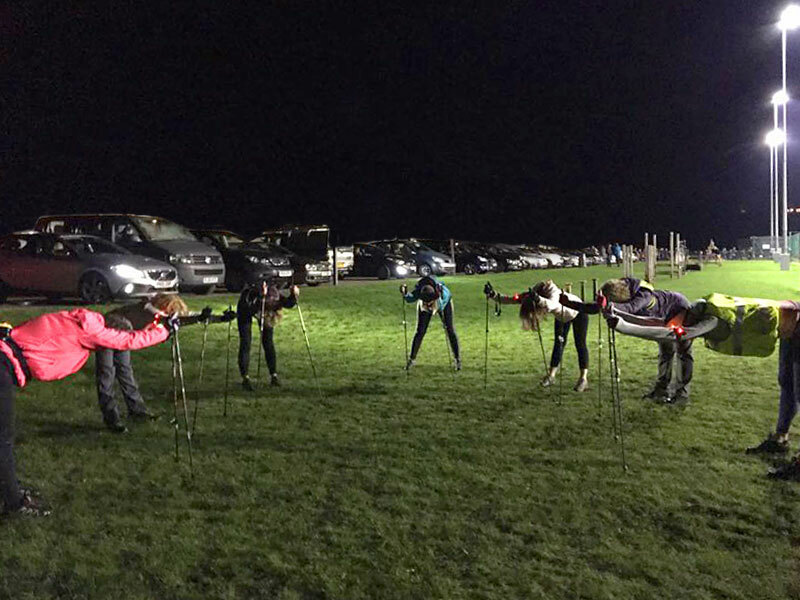 Meet your Instructor by the Pier and enjoy a 1 hour fun workout with the most amazing cliff top views before heading back down to enjoy a Fish n Chip supper on the seafront – go on you know you want to! Kimmeridge Bay is famous for Surfing and Fossils as well as Clavells Tower and the wonderful picturesque Café with the same name. This tranquil Village is made up of traditional thatched houses with pretty gardens overlooking the Bay. 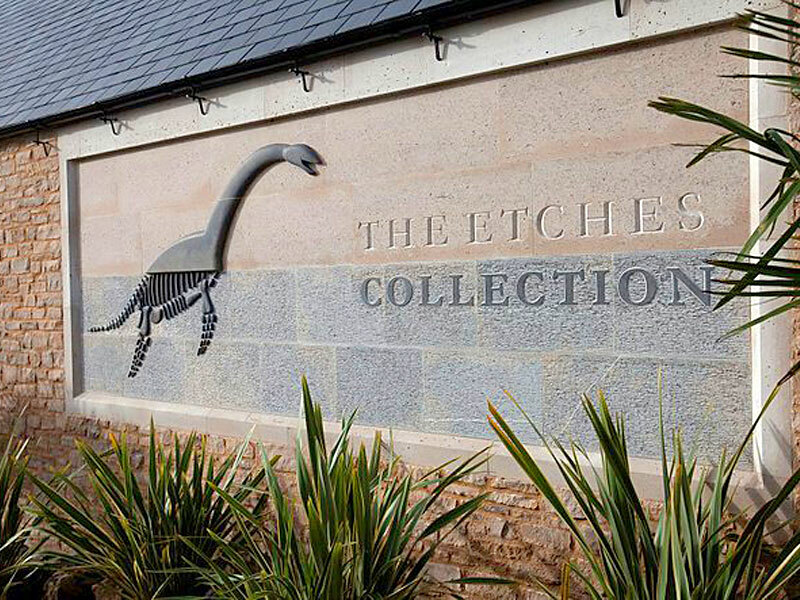 In 2016 the jaw dropping Etches Fossil collection (over 2,000 specimens collected by one Man over 30 years) was opened in the new Village Hall Centre. 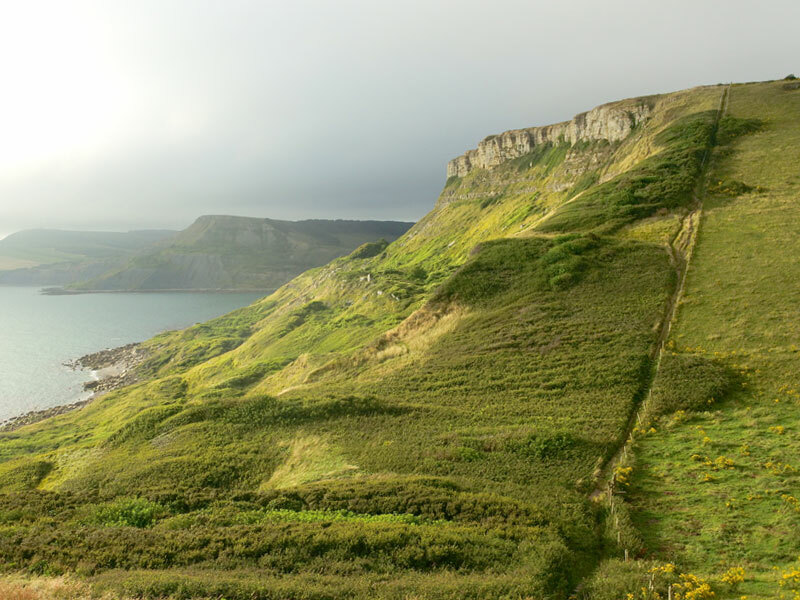 This walk takes you along a stunning ridge with views in all directions before dropping onto the Coast path along the Bay and back through the Village. Note: this walk starts at a location away from the Main festival hub so transport will be required. 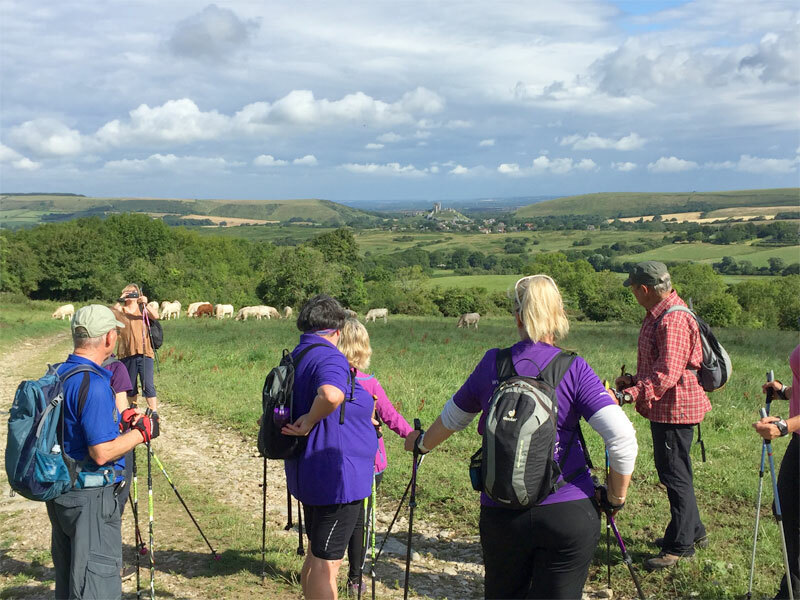 This walk takes in the highest point in Purbeck (Creech Barrow) and one of the major chalk ridges that straddle Corfe Castle. 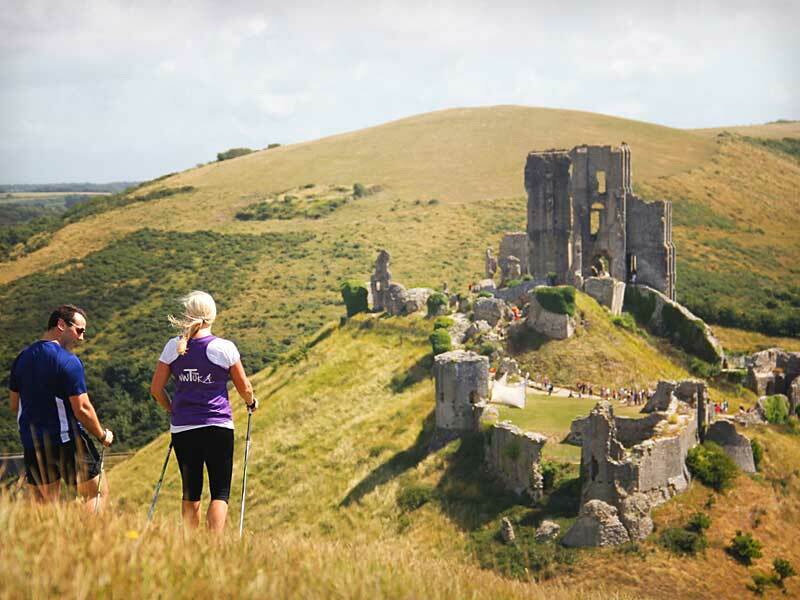 Although a longer tougher route than many, this route rewards you with views on all sides plus a drop into a stunning unspoilt Dorset Village complete with Duck Pond and a perfectly placed tea room where we pause for a mid walk refreshment before heading through a nature reserve and woodland and back into Corfe Castle. 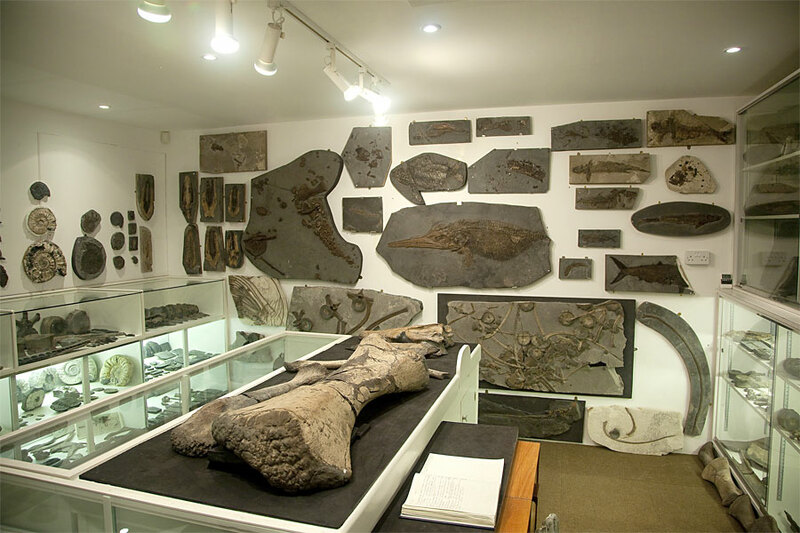 Steve Etches is a renowned fossil collector and his collection fills the new Fossil museum in Kimmeridge which is literally jaw dropping! It is so extensive that those of us at HQ who have annual passes have yet to see many of the specimens – see The Etches Collection. In this walk. This walk will need to be at low tide and there will be lots of stopping – poles are not essential but could help on slippery surfaces. The chalk stacks known as Old Harry Rocks mark the start of the World Heritage site of the Jurassic Coast. 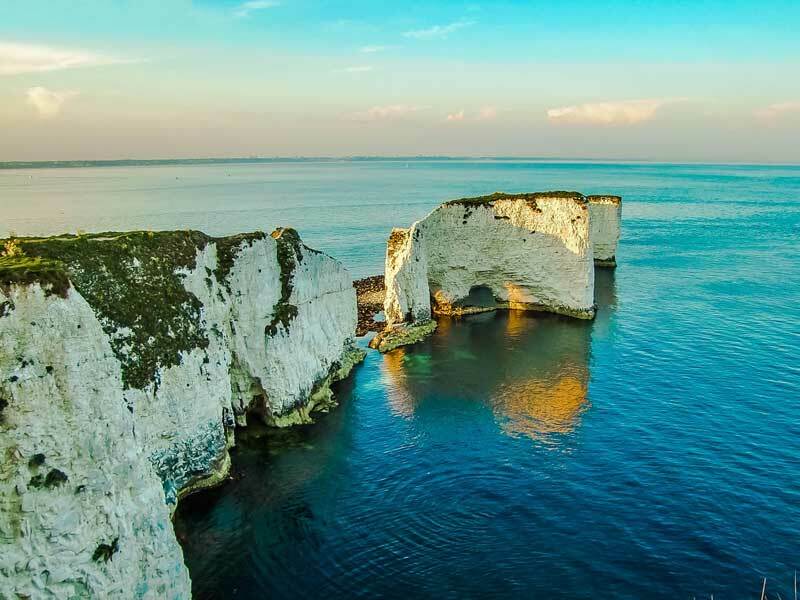 Old Harry Rocks were created through thousands of years of erosion by the sea and were originally a part of the chalk ridgeline that runs across the south coast joining up with the Needles on the Isle of Wight. 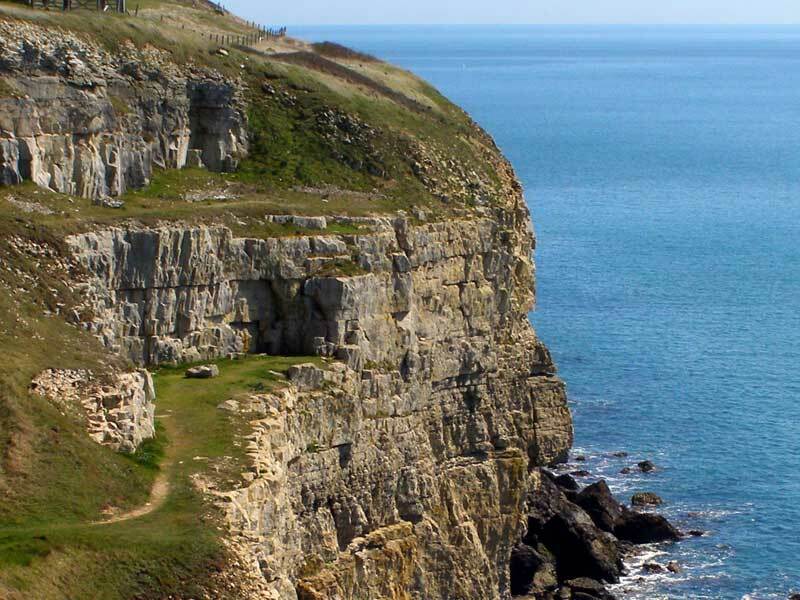 The chalk ridge was formed approximately 65 million years ago but you can join us to walk towards the rocks and look down on them from the cliffs. 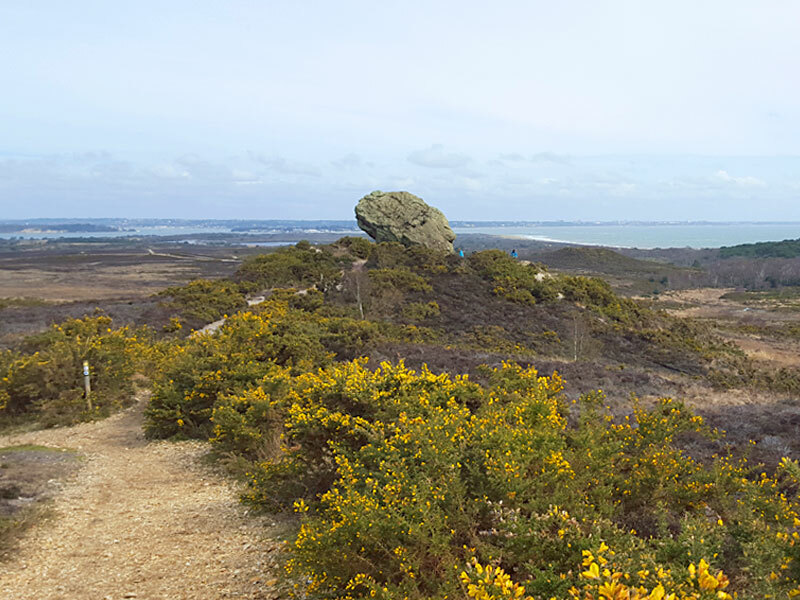 This walk has one steep climb but is otherwise fairly flat and has views across Studland bay and out to the Isle of Wight. 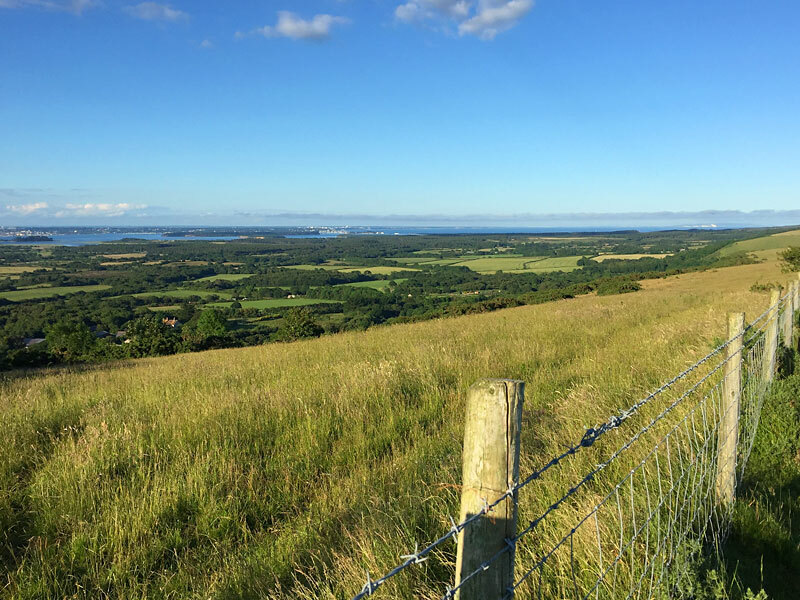 This walk contains one climb but is otherwise on fairly even ground and it provides far reaching views over Studland Bay and towards Swanage. 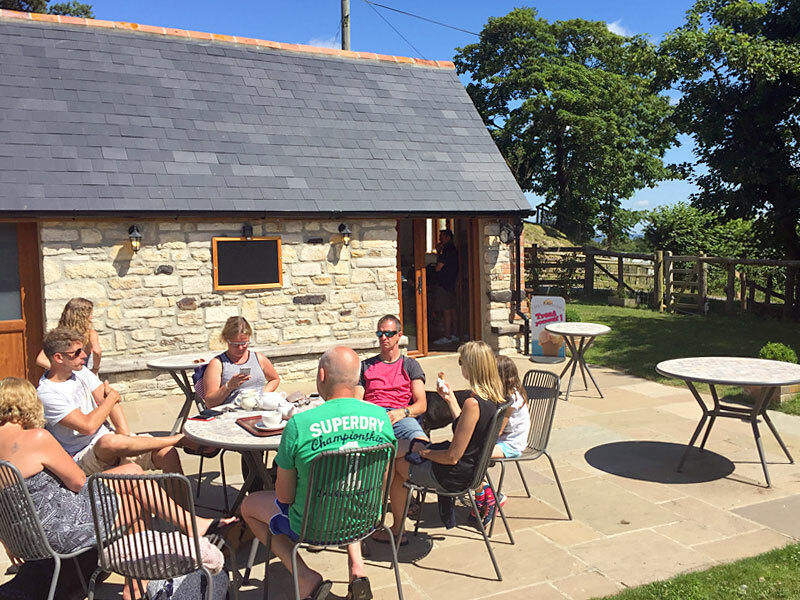 Reward yourself at the end with a Cream Tea specially prepared in the Manor Farm tearooms for only £5 – must be pre booked in advance via NWUK (cream tea not available on all walks). The symbol of Purbeck, Corfe Castle tends to star in many NWUK photos too! Blown up by Cromwell in the Civil War it sits on a mound in between two massive chalk ridges surrounded by tiny cottages that make up the Village used in many film sets (including Thomas Hardy’s Mayor of Casterbridge & Bedknobs & Broomsticks). 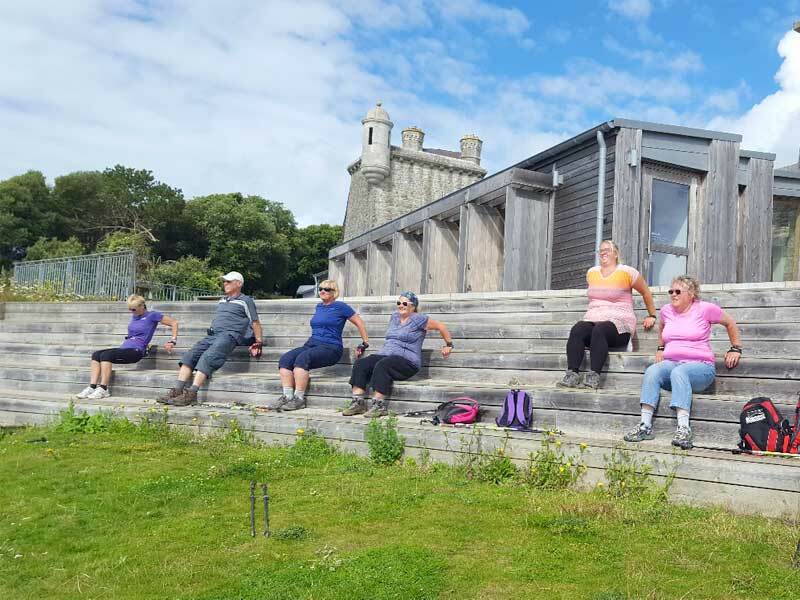 Join us for our favourite circular loops that take in the best views of the Castle and the whole of the Isle of Purbeck. 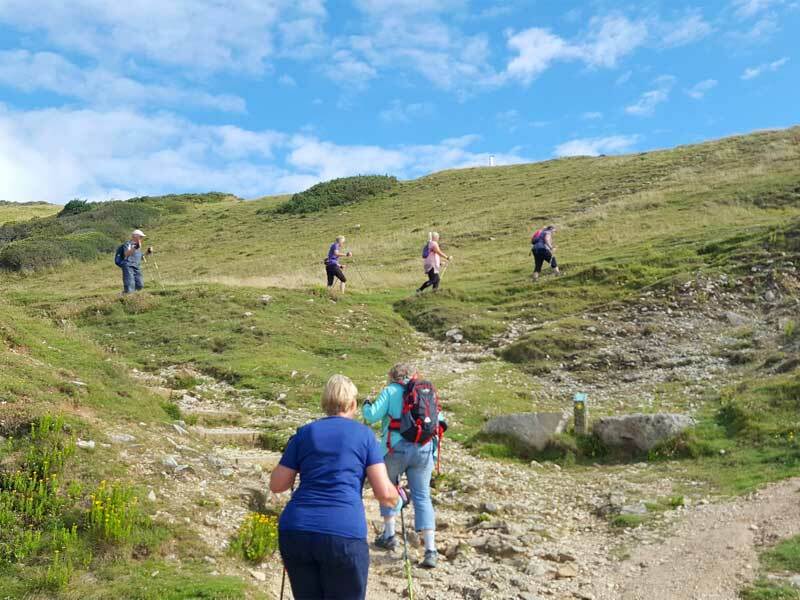 In Corfe Walk (West Hill Loop) we will climb one of the ridges to look down on the Castle and Village from above plus taking in the delightful Copper Bridge and views across Poole Harbour. 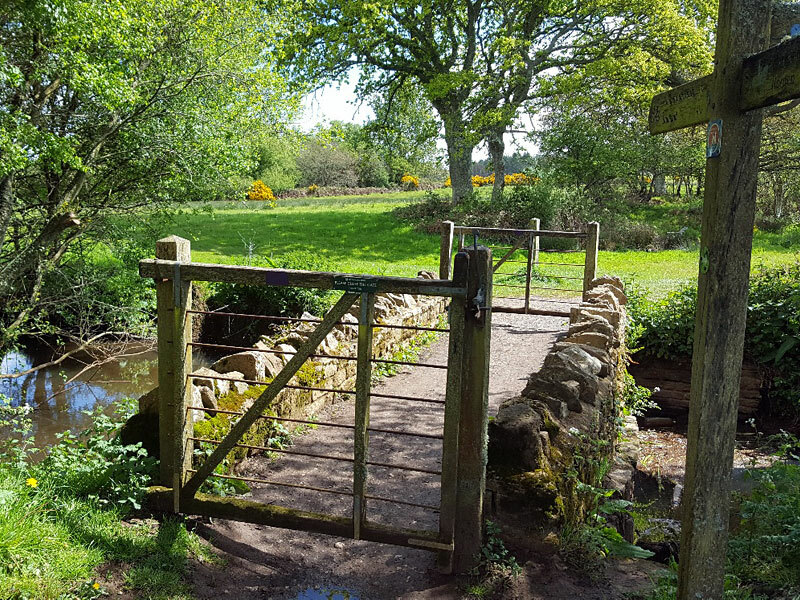 This walk involves a steady but manageable climb and no stiles – one area can be muddy in wet weather and the area is predominantly used for livestock grazing so Cattle/Sheep could be encountered. A gentle walk around Corfe Castle that does not include any hills and rewards you with an optional breakfast in a local hostelry. 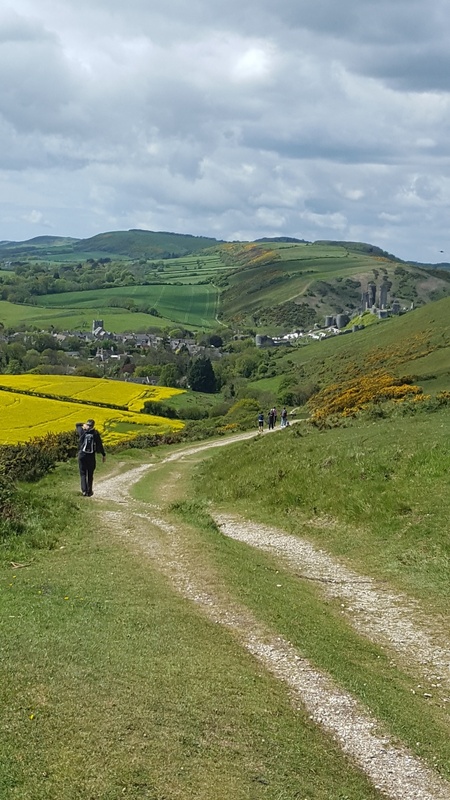 This walk starts at the HUB and takes you out beside the Castle and onto a circular path that goes below the West Hill ridge before taking you back into the Village for Breakfast. 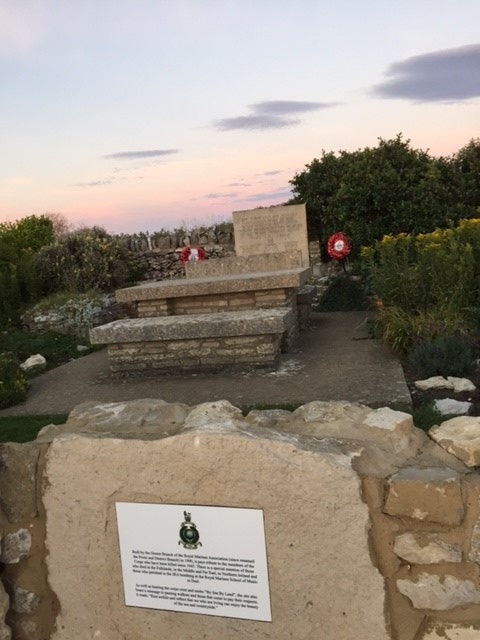 After Breakfast you can stay in the Village to tour the model village and make your own way back to the Hub, your next walk or the train to Swanage when you are ready! 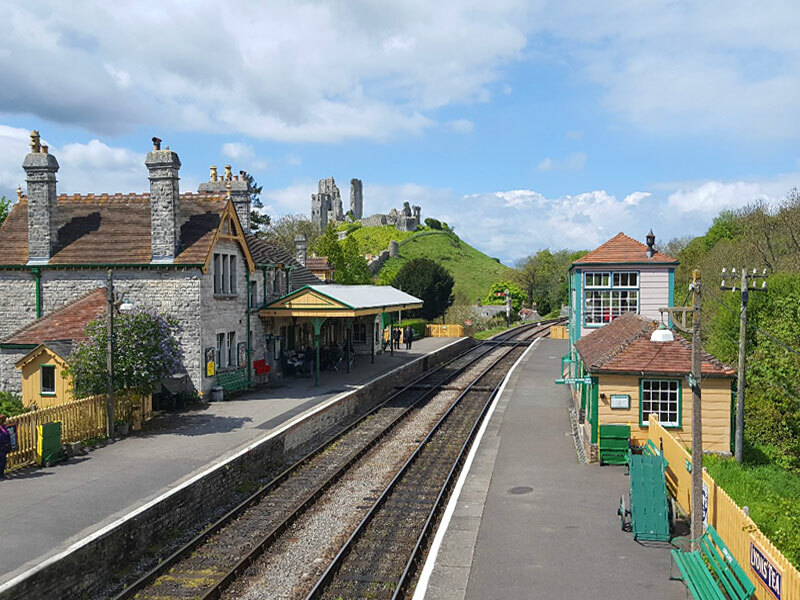 A gentle walk around Corfe Castle that does not include any hills and rewards you with an optional cream tea in the lusciously named LOVE CAKE TOO tearooms which is situated in ancient West Street. 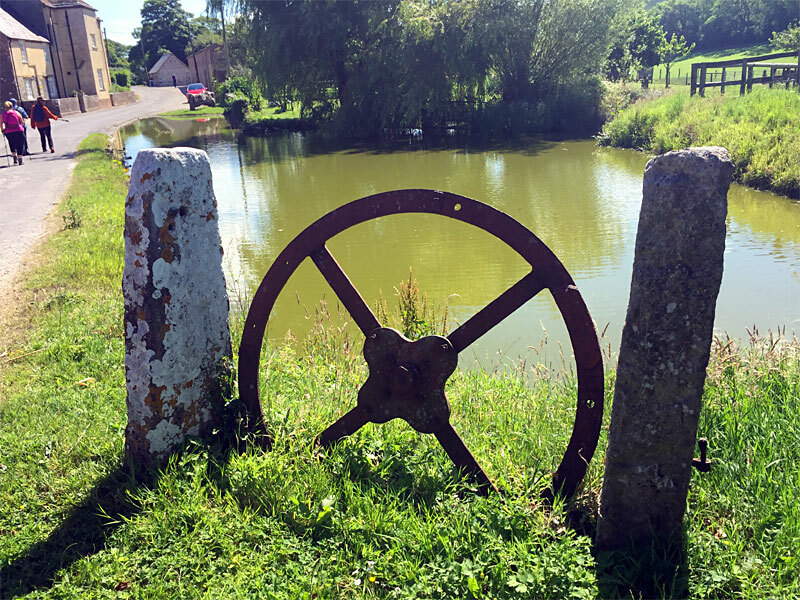 This walk starts at the HUB and takes you out beside the Castle and onto a circular path that goes below the West Hill ridge before taking you back into the Village for Breakfast in the 17th Century Courtyard Cafe. You can stay in the Village and make your own way back to the Hub or take the train to Swanage when you are ready! This walk is not for the fainthearted but is a great way to see the whole of the Isle Purbeck and get a great workout at the same time! This walk does a figure of 8 around the Castle and Village in order to climb both East and West Hills! Steep with some steps, these hills are worth the climb as they provide stunning vistas in all directions. This walk will be at a brisker pace (apart from the hills) and is for those who like a blast! 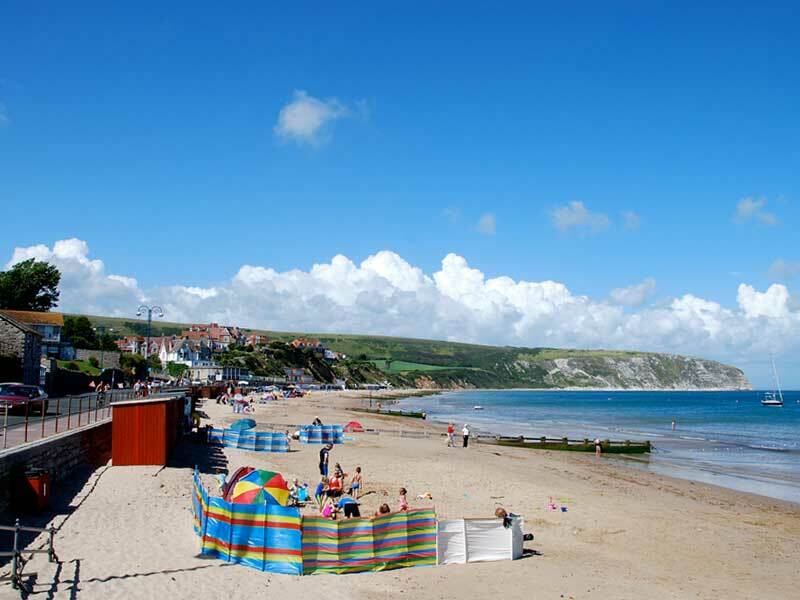 Purbeck was the favourite holiday location for Enid Blyton and is said to be the inspiration for many a tale! 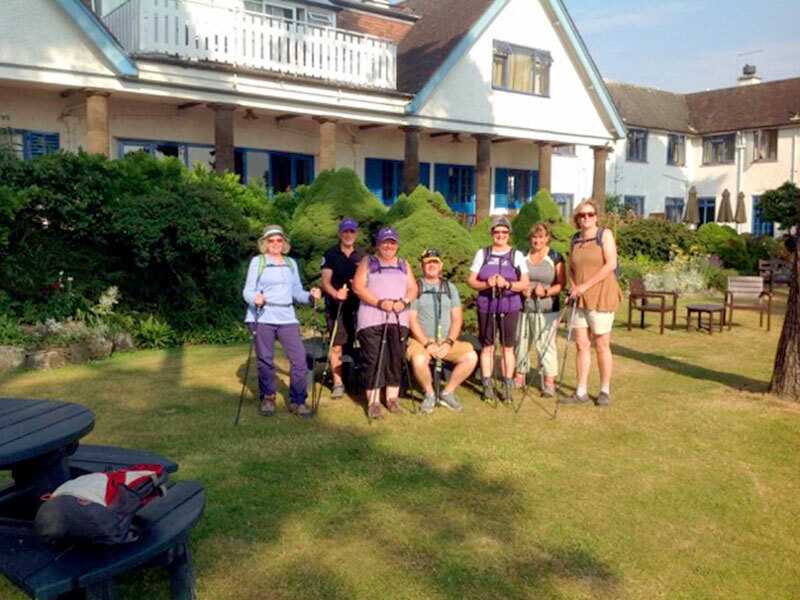 This walk starts for the stunning Knoll House Hotel which Enid Blyton visited at least 4 times a year in the 50’s. The former 1930’s Summer retreat sits overlooking Studland Bay and has retained it’s period charm. 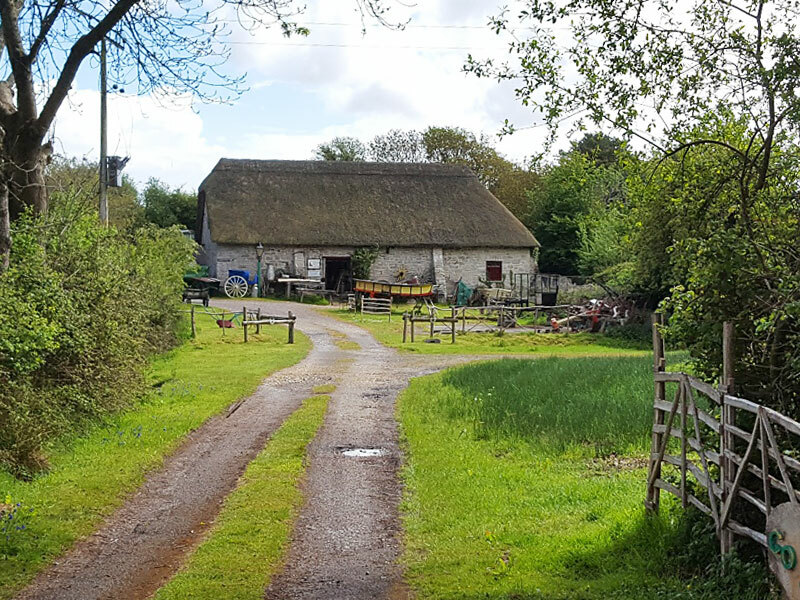 Join us as we explore the local countryside, heading out to the Harbour across heathland adjacent to the Golf Course owned by Blyton and her husband. We will stop for Ginger Beer and immerse ourselves in a themed walk before going back to the Hotel for a drink or lunch (call to reserve this in advance) where more interesting Enid Blyton can be found. Agglestone Rock is yet another unique feature of the area. 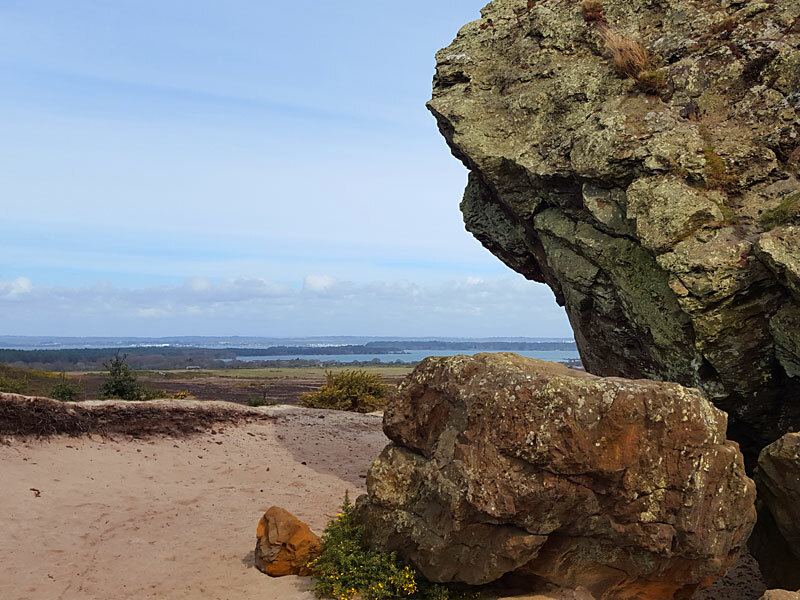 Also known as the Devil’s Anvil, it is a sandstone block of about 400 tonnes weight, perched on a conical hill on the wild Heathland that borders Poole Harbour. Your walk leader will take you through Studland Village and out onto the Heathland before a short climb takes you along a ridge towards the iconic rock where you can get up close and marvel at the magnitude before dropping down towards Studland road and through the woods to the Village and the 3 stunning beaches of Studland bay. This is a fairly easy walk with no significant climbs on sandy heathland terrain. There is a short road section at the start. 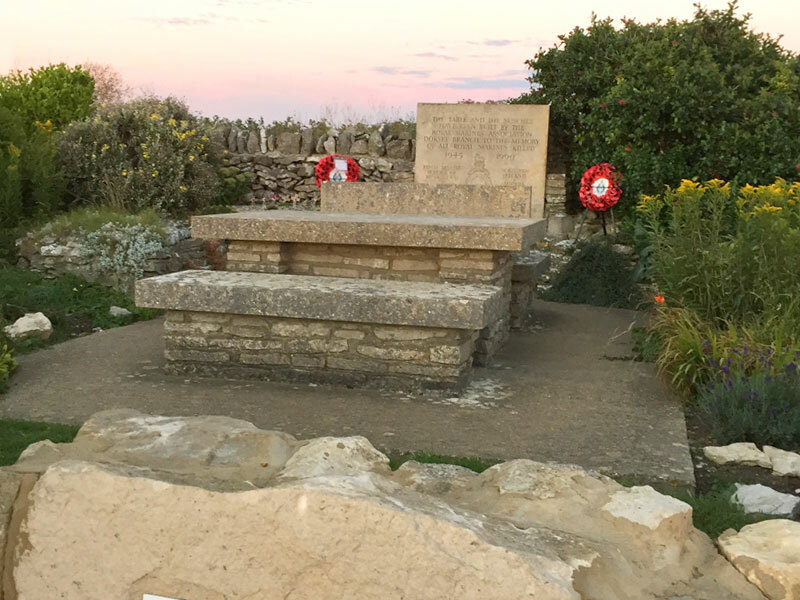 Worth Matravers Coastal Path Loop (including Winspit). 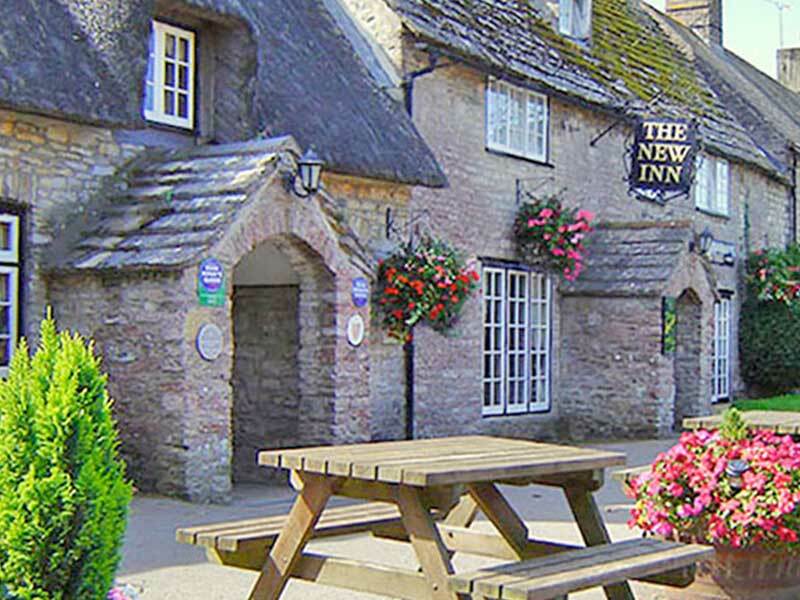 Experience the real essence of Purbeck on this circular walk which starts near to the famous Square and Compass Pub in the beautiful village or Worth Matravers. 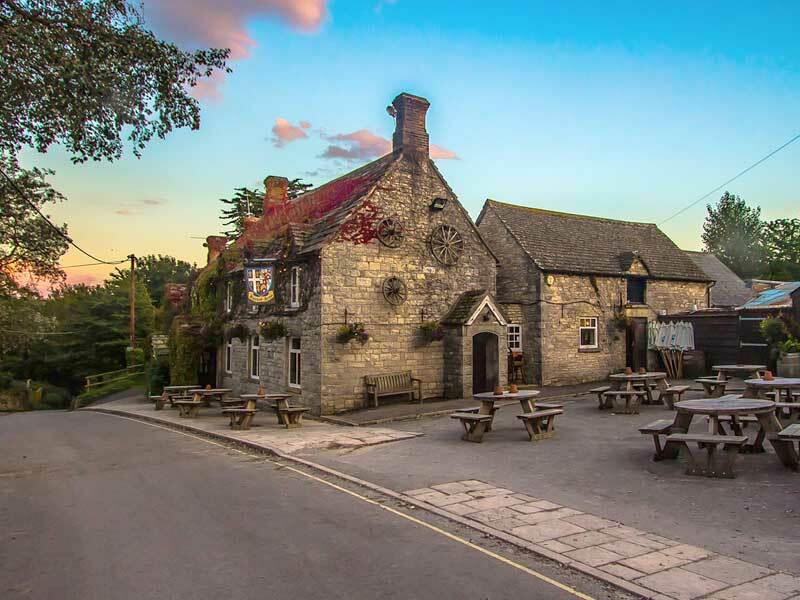 This tranquil setting has a history of quarrying for Purbeck stone and the landscape has been shaped by this heritage whilst the pub seems to have changed little since it was frequented by the Quarry men (apart from having a Cider Cart and Fossil Museum). 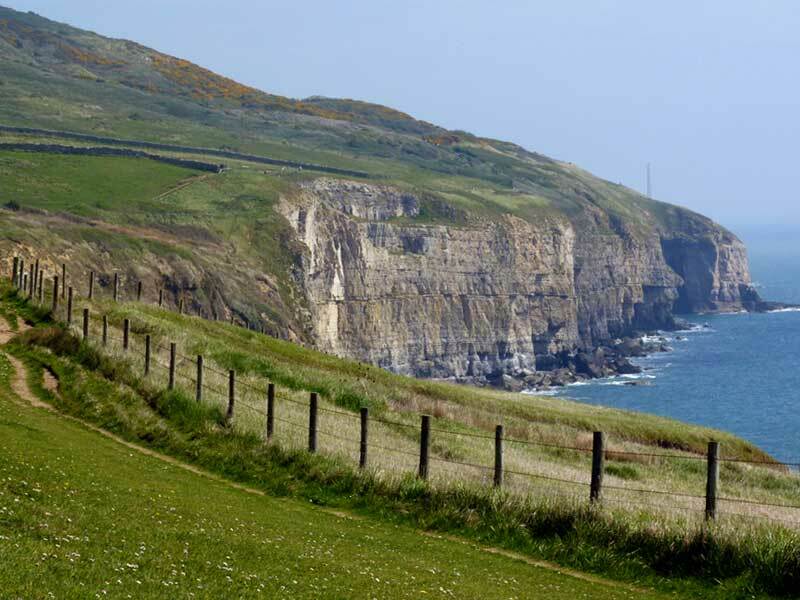 Known as the Smugglers Way, the walk will take you via the East Man and Seacombe before climbing back to Worth Matravers. There are a couple of climbs (circa 50 steps) and one small stone ‘gap’ stile to negotiate. 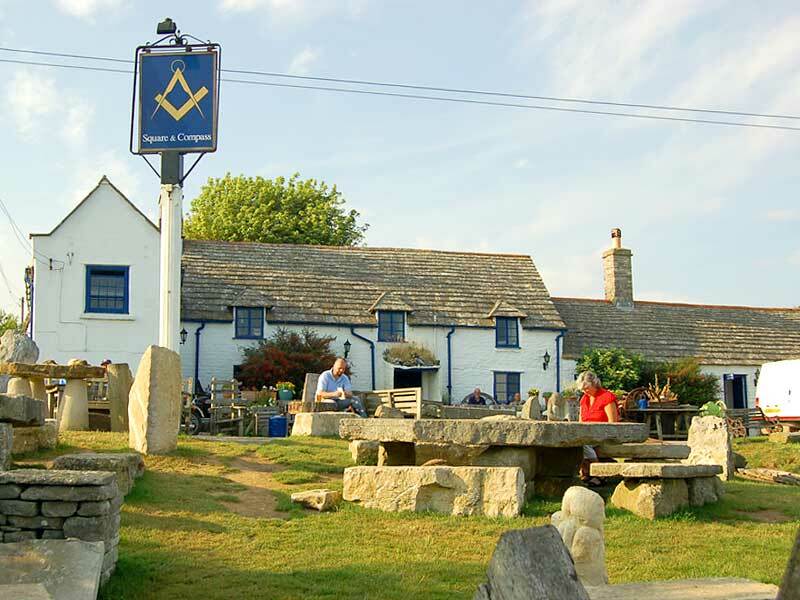 You will finish back at the Square and Compass where you can enjoy a glass of local Cider with views out to Sea. 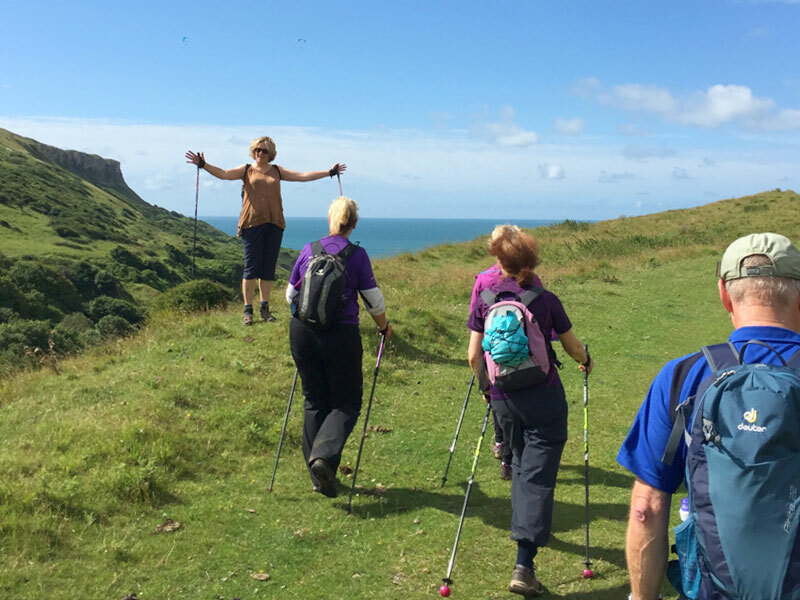 Walk starts and finishes at Worth Matravers Village Car Park – suggested donation applies. 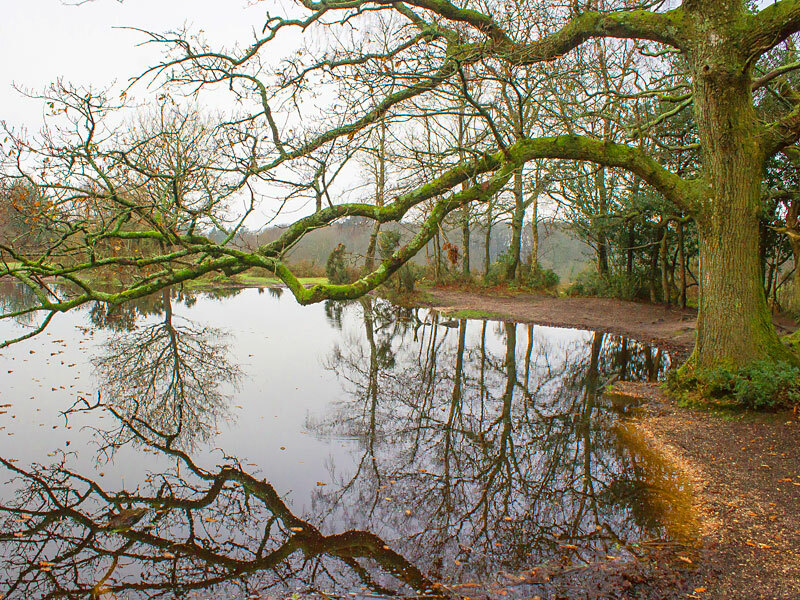 A stunning circular walk that provides a unique view of Chapmans Pool and the Encombe Valley which is also known as the golden bowl. 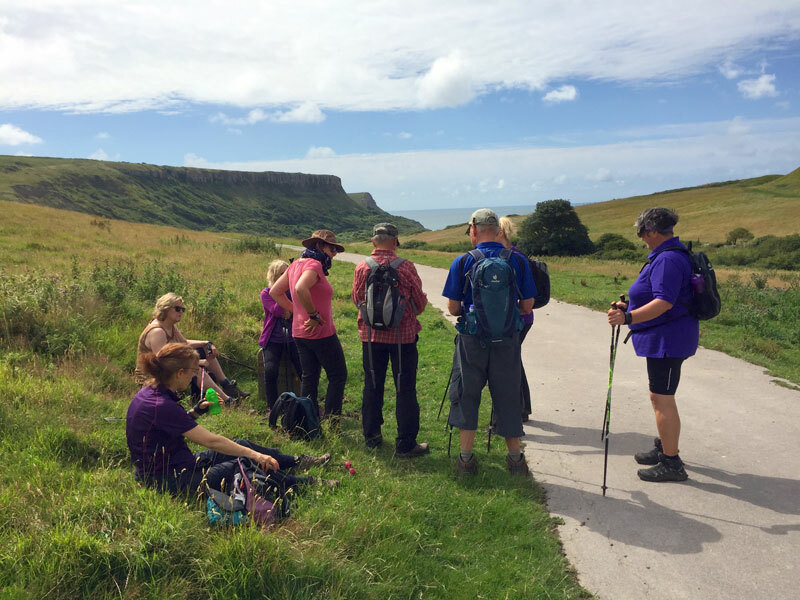 Walk through a stunning valley to the coast and then climb a steep uphill section (which is via steps but does have a drop to the sea to one side) to take in the views towards Portland and Kimmeridge Bay from Houns-Tout cliff. Return via a ridge that provides more stunning views of the Encombe Vally (including the House, Lake and walled Gardens). 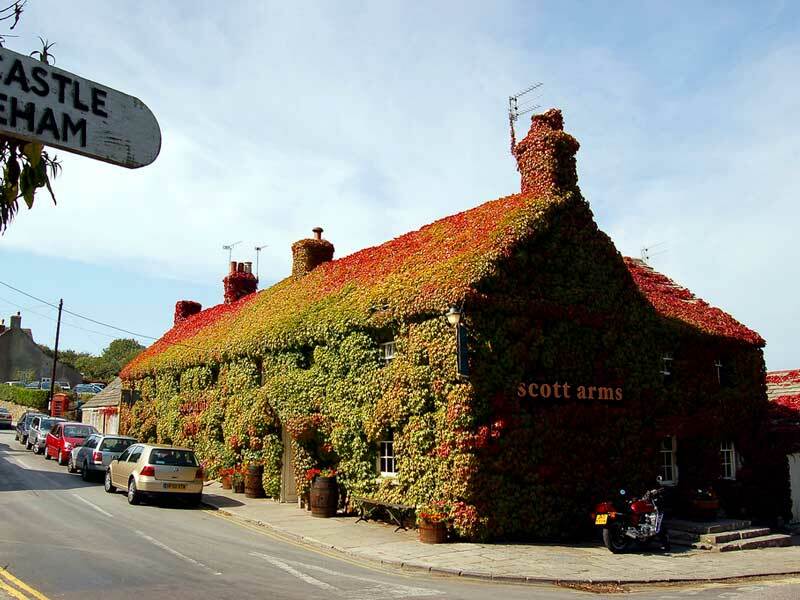 Refresh with a drink at the Scott Arms pub which has unrivalled views of Corfe Castle. 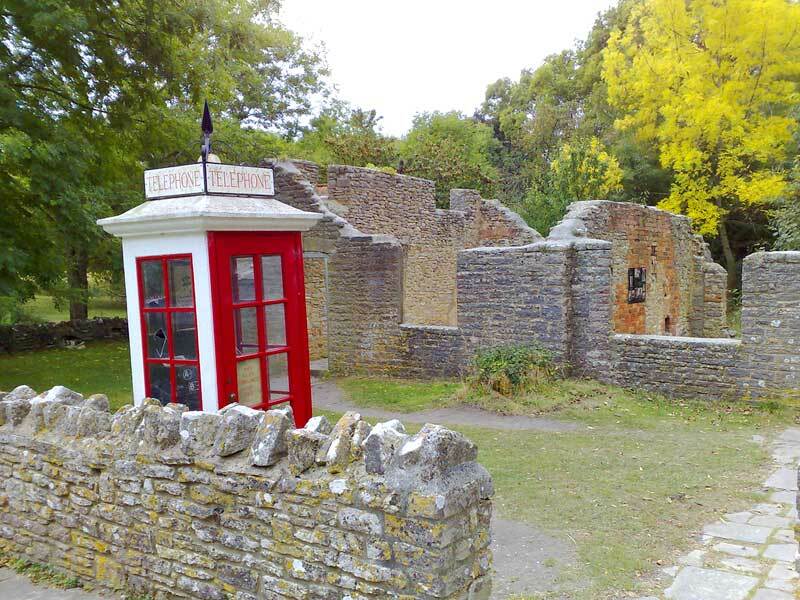 Today Tyneham is a ghost village and its school and church are given over to displays of life in the village as it was before it was taken over by the MOD during the Second World War. Still part of the extensive MOD ranges time has literally stood still in this Village. Join us to experience just how tranquil life would have been for those displaced and read their stories as you explore the ruins after the walk. We will have a choice of 3 walks in and around the Village and it is included in the Marathon too. 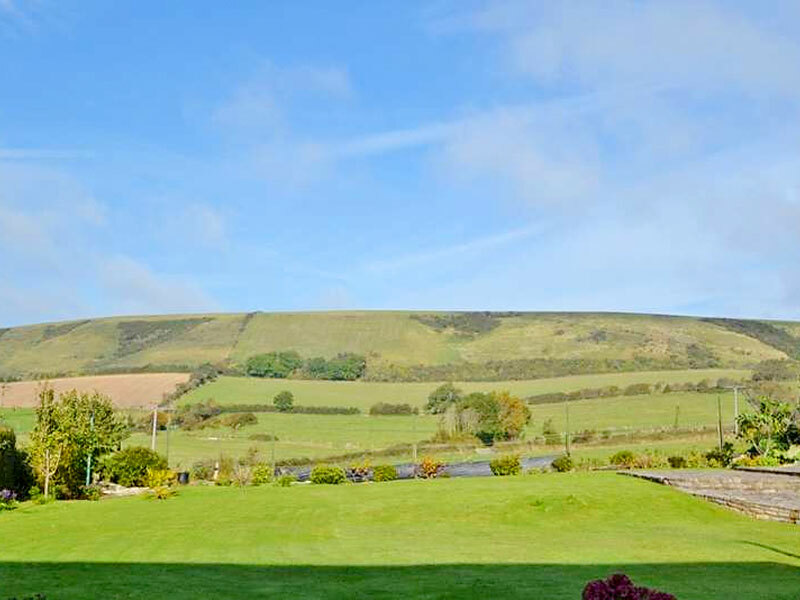 The valley in which the Village sits is bordered by two chalk ridges which once climbed give views out across Lulworth and Poole Harbour on one side and across to Kimmeridge on the other. 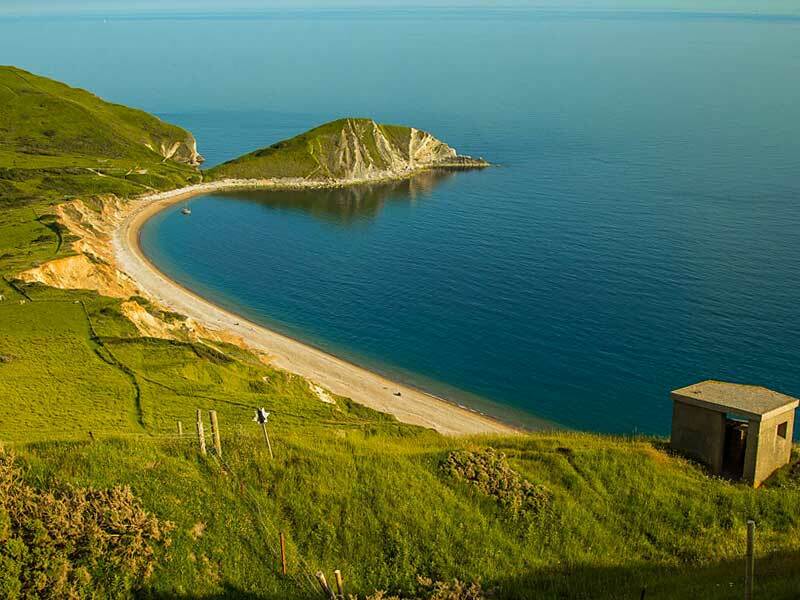 Both ridges lead down to the secluded unspoilt beach at Worbarrow with its iconic ‘Tout’. Both ridges involve a steep climb but we will also have a short flat walk to the bay for those less keen on the hill work! This shorter walk drops from the Village into the Bay where paddle steamers used to bring Tourists to the tranquil village before it was evacuated. A fairly steep but short climb up to the coast path is rewarded with views across Brandy Bay and back to Kimmeridge before dropping back down into the lost Village. This walk does traverse a fairly high ridge with a drop to the sea below. Car parking suggested £2 donation for upkeep of the Village Also starting with a walk to the Bay this walk then crosses to the other side of the bay before a STEEP and fairly long climb up to a prehistoric ridgeway, where the massive Iron Age Flowers Barrow hillfort has a tremendous outlook over coastal vistas stretching from Portland to Poole. Without doubt this is one of the most beautiful vistas in the area. This gentle walk takes you form the Village,past the old farmyard and down to Worbaarow Bay on an even gravel track. 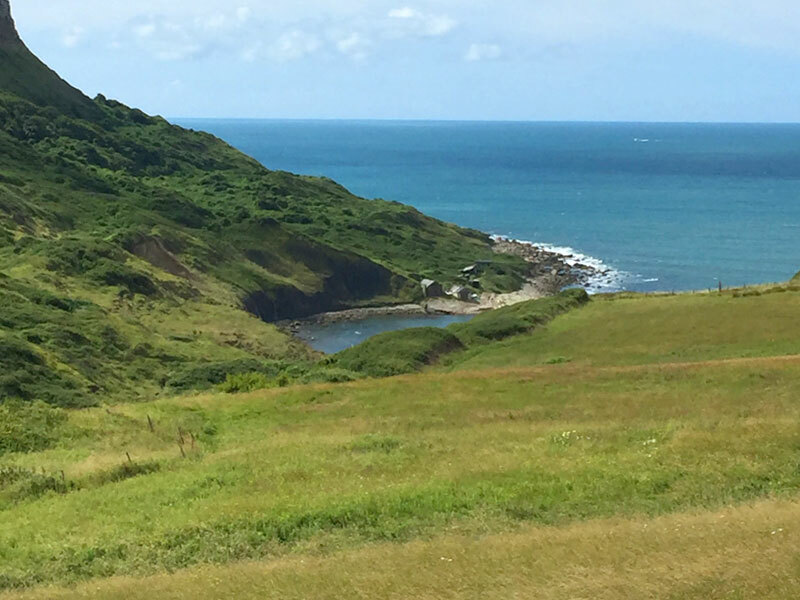 We will allow time to stroll along the beach and take in the tranquillity and views before heading back to the Village via a magical woodland that typifies the unspoilt nature of this secret valley. 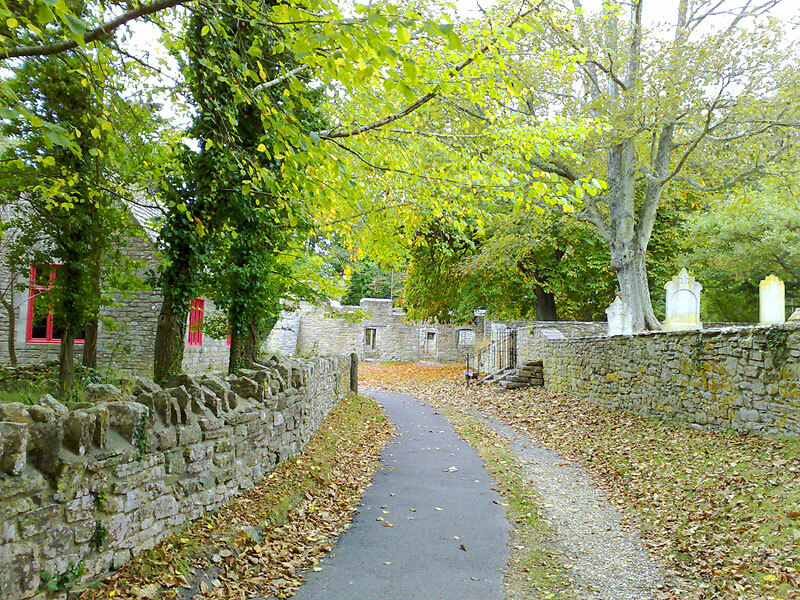 Start and Finish of all loops in Tyneham Village car park. Car parking suggested £2 donation for upkeep of the Village. 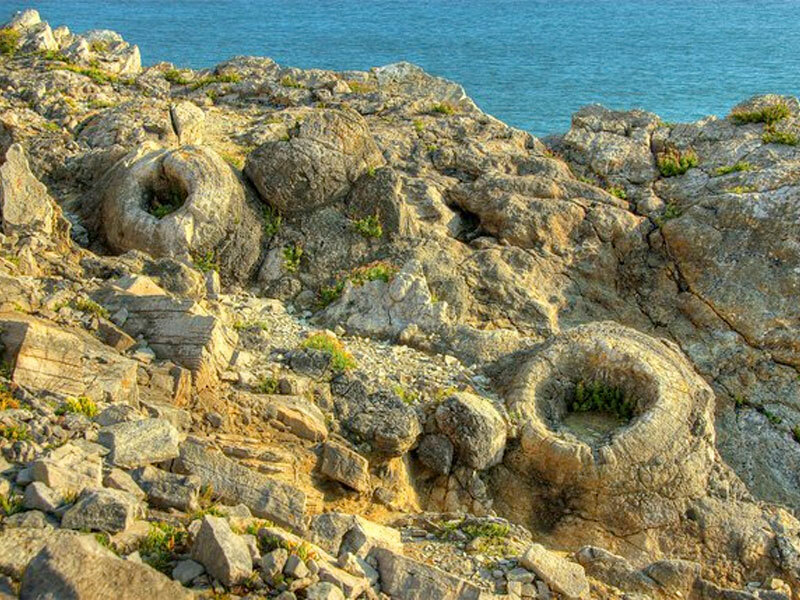 This really is following in the footsteps of the Dinosaurs because footprints in the rocks have been found in most of the local quarries along the route including Keats Quarry where they were a metre in diameter and belonged to a 30-metre, 30-ton Diplodocus. A fairly challenging walk with steep descents (sometimes slippery) this walk captures the essence of Purbeck stone and its importance to stonemasons and fossil hunters. Dancing ledge itself is a platform where ships used to come to collect the stone and is so named because it the size of a ballroom. Now it also has a natural swimming pool area which was blasted out for the use by a local prep school. 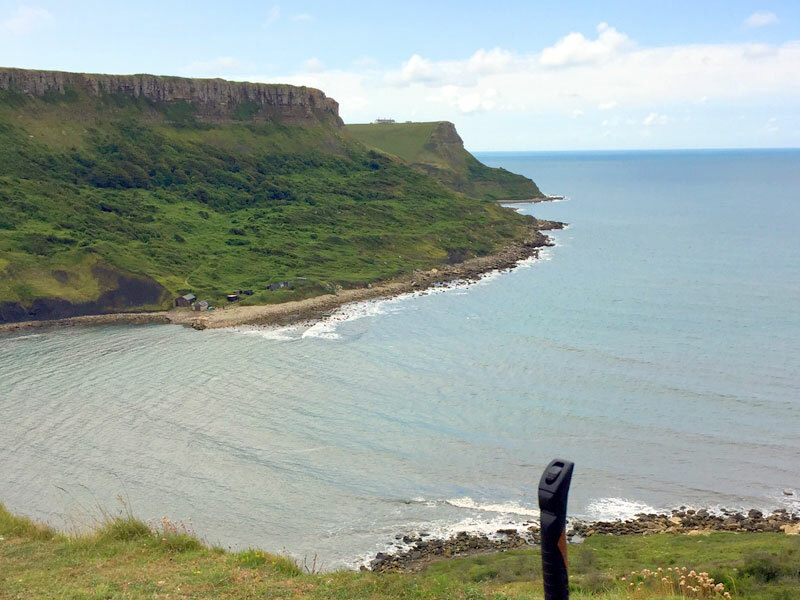 Sea views, old caves and the Priests way – this walk has a bit of everything. 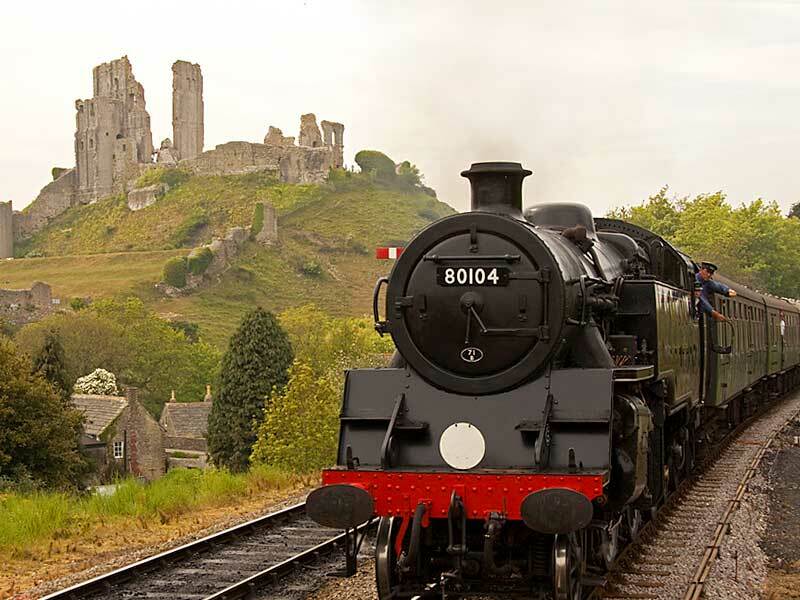 Corfe to Swanage (return by Steam Train) and Vice versa! Leave the hub in Corfe and climb up to 9 Barrow Down where expansive views of the isle of Purbeck and Studland Bay reward you for the effort! 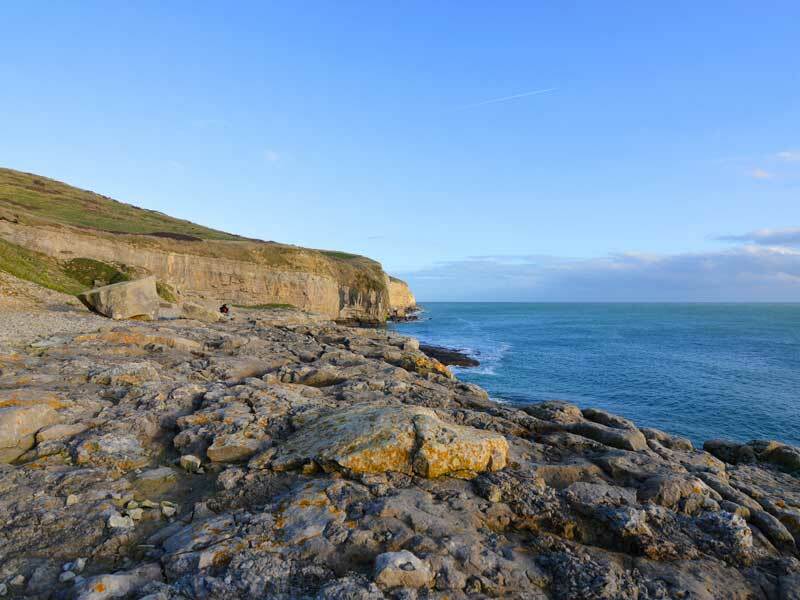 The walk continues along the ridge undulating with the natural chalk formations until the path eventually descends into Ulwell on the outskirts of Swanage and into the town where you can enjoy a taste of the seaside before jumping on a Steam train back to the Hub. These are one way only routes so you will need to catch the steam train back to your start points (or a bus) after taking some time to explore the end destination or perhaps joining another walk there! A fairly gentle walk with one moderate climb. No car needed from main hub or Swanage mini hub. 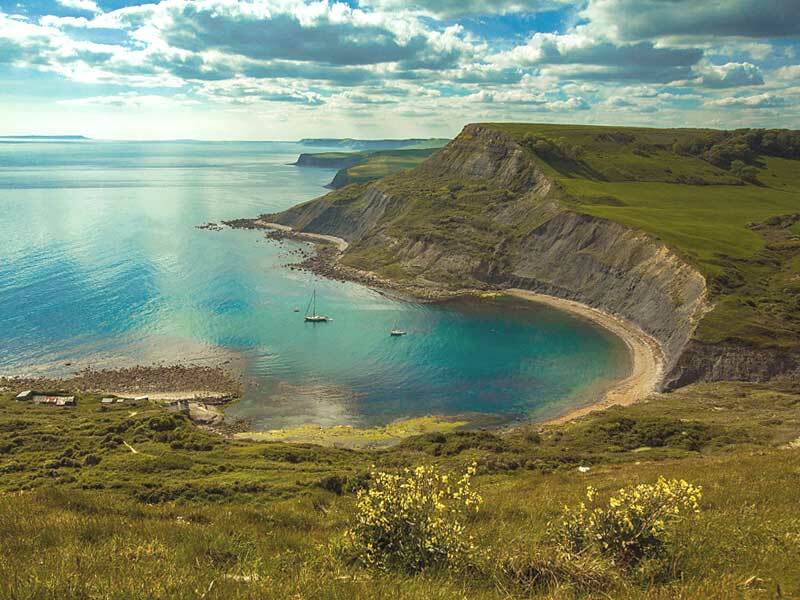 A complete taste of Purbeck, this walk combines both of the chalk ridges that define the ‘Isle’. 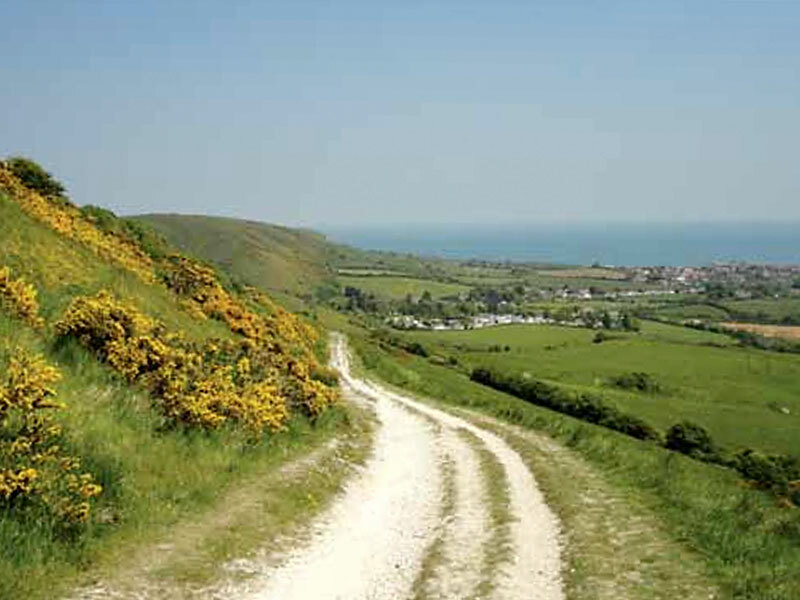 This walk literally crosses Purbeck taking in expansive views in all directions. 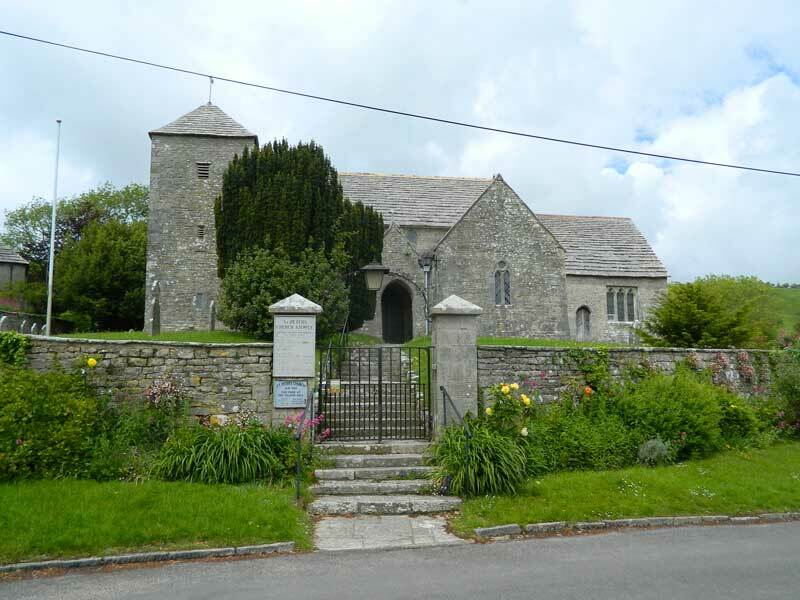 Starting in Church Knowle a village with a stunning 13th century church it takes in both hills and dale, arable land, woodland and stunning cliff tops. Incorporating a drink/snack stop overlooking Kimmeridge Bay (option to visit Café 5 mins down steep hill for ice cream and comfort stop) the walk then climbs up to Heaven’s Gate along the cliff tops before dropping back down into the Valley, through old farmyards and back into Church Knowle with its welcoming Pub. This walk contains a couple of moderate climbs and two fairly steep ones. The terrain varies from rocky tracks to arable fields and there is one narrow footpath section that can be overgrown (long trousers advised!) The route includes areas where Livestock may be grazing and a farmyard area in a valley which can be muddy in wet weather. There are several stiles en route and a couple of areas where its uneven underfoot. A favourite of the local groups, this relatively short walk is guaranteed to blow the cobwebs away. 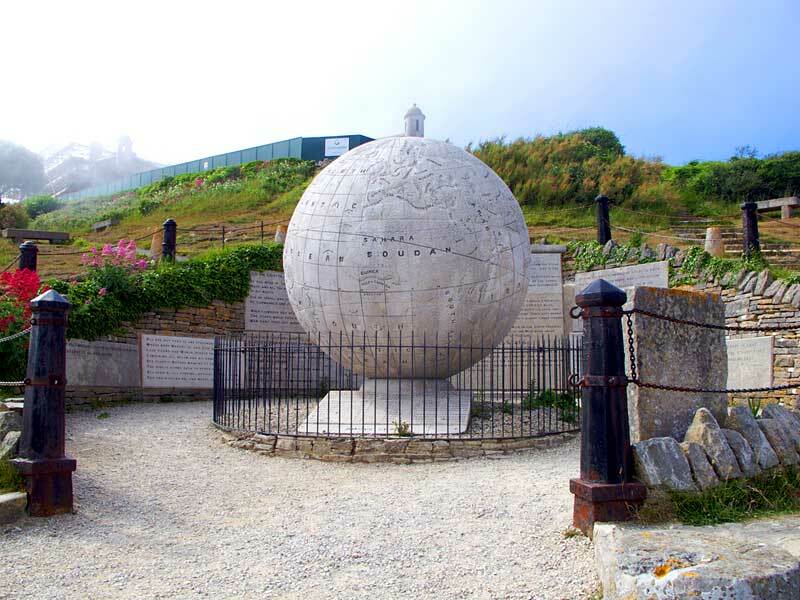 A route that has been popular since Victorian Swanage, this trail winds up from the Pier and seafront along the coastal trail and up into the amazing Durlston Country park and round Peveril Point. 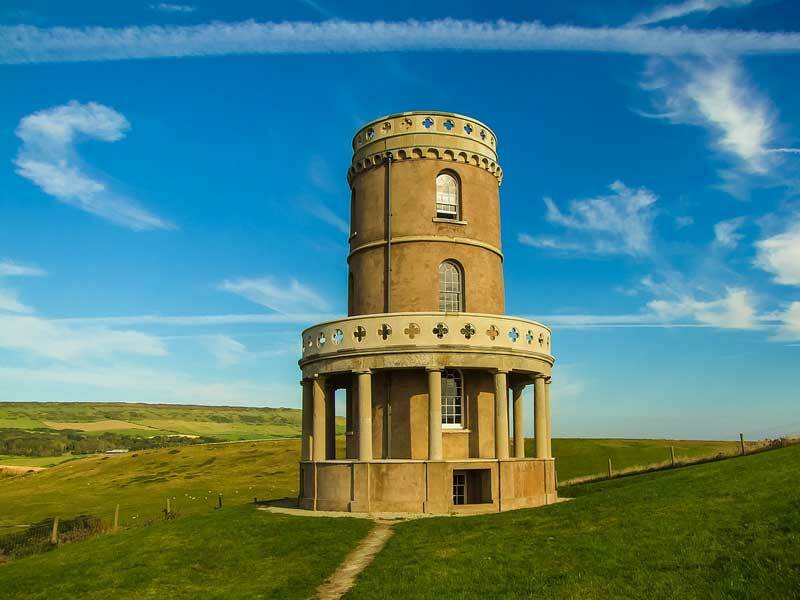 From Durlston you can view the bay were dolphins are often spotted and wildlife abounds plus experience the Victorian link by spotting the London bollards which are a feature of the park. (They were used to weigh down the empty ships which came to collect the Purbeck stone used in many major London buildings). No stiles involved but a brisk climb up to Durlston. Kimmeridge to Heavens Gate – including an option to visit to the Fossil Museum. 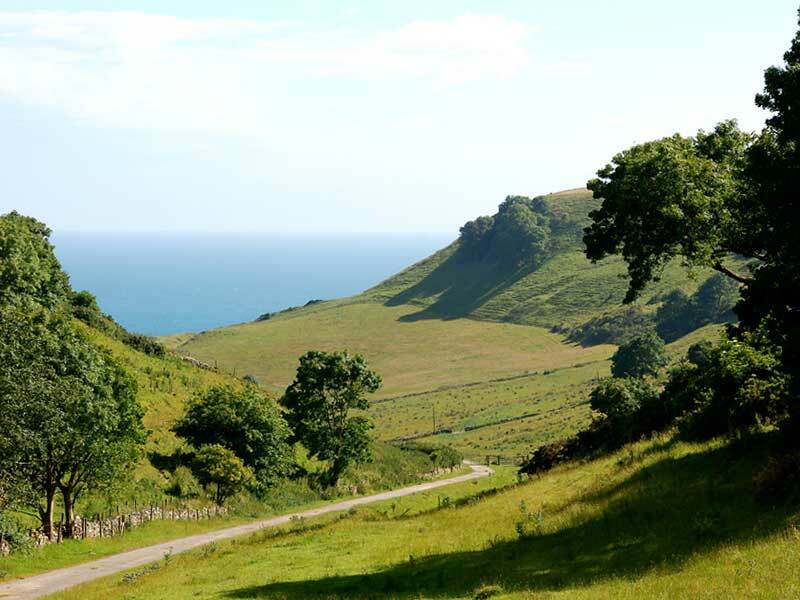 A walk that is stunning and on good wide stony paths blessed with the some of the best views in Purbeck. This walk starts above the Village in a quarry car park where the track takes you up onto the ridge overlooking the iconic Clavells tower. Views are expansive and include St Aldhems chapel in one direction and Portland in the other! 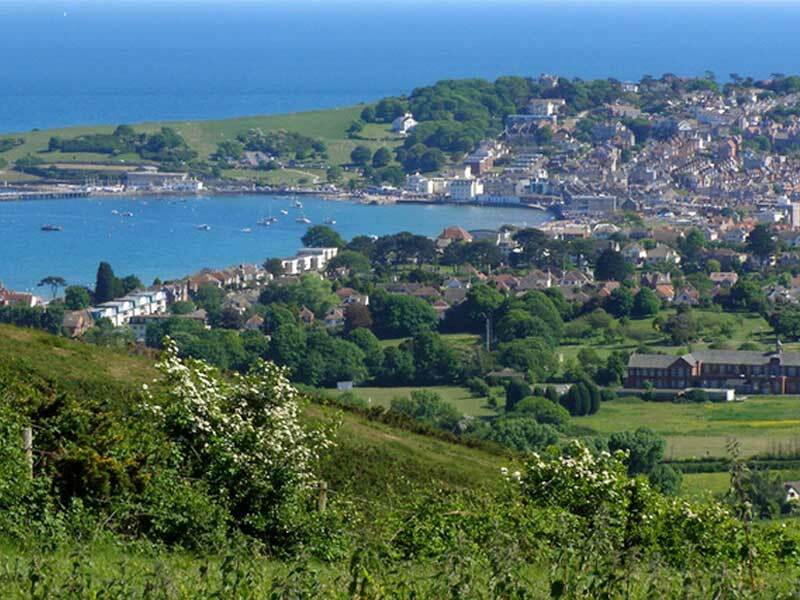 The walk continues to Heavens Gate a viewpoint and on to Swyre head before heading inland overlooking the tranquil Encombe estate and back along the cliff to the start or the chance to venture down into the Village and/or bay below. 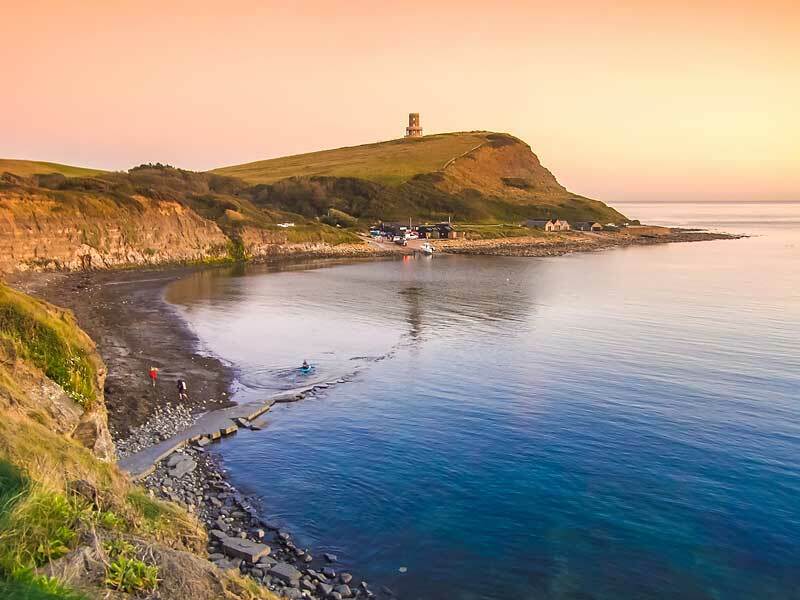 Kimmeridge Bay is a hotspot for surfers and snorkelers and the home of the Etches collection of fossils which are held in the new Village Hall complex opposite an equally fantastic café!. 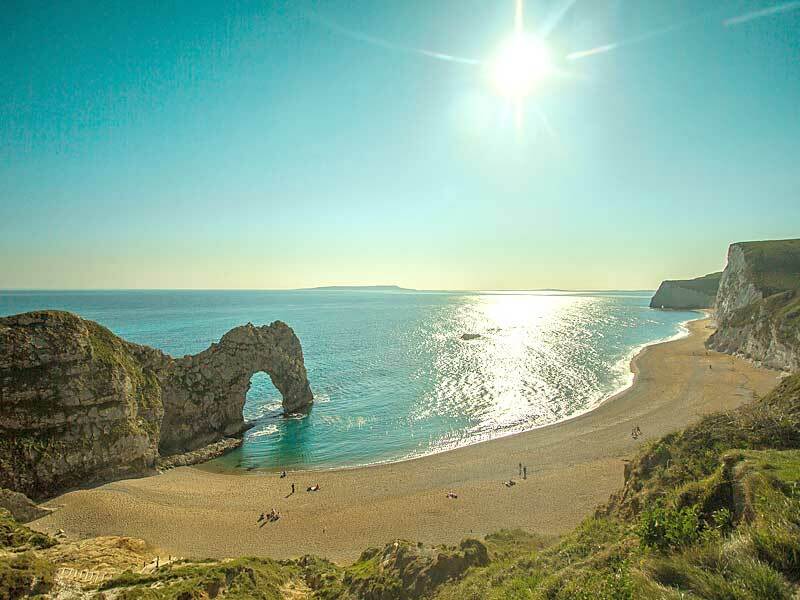 It simply is iconic Dorset with terrain varying from arable and parkland to Jurassic coast and picture box village. Start and Finish at Kimmeridge Quarry car park. 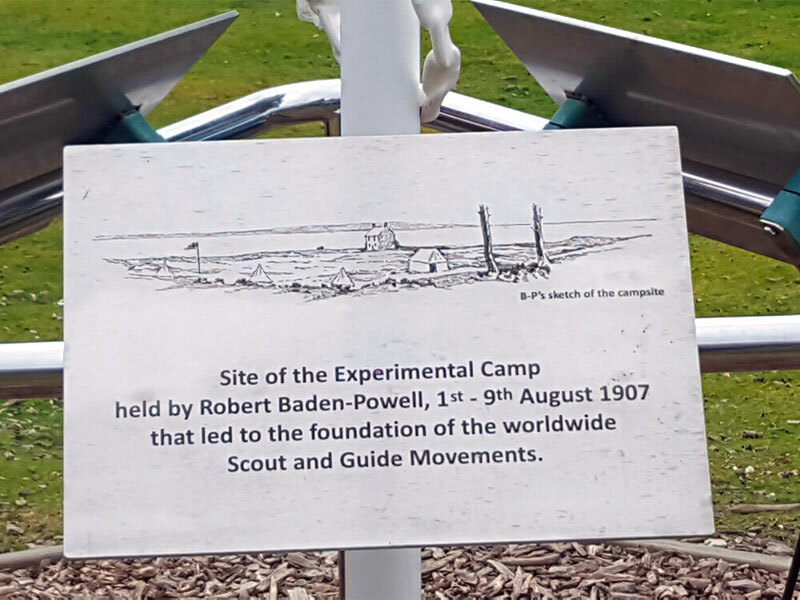 Industrial heritage doesn’t sound like its going to be stunning, rural and tranquil, but this walk is actually all three as well as being fascinating and informative. Starting at the Main Hub just outside Corfe Castle (which can be reached via train from Swanage if you are car free) this walk gives an insight into everyday rural life through the centuries and features clay mining, a cartmaker and wheelwright (including some amazing old carts) plus the steam railway. 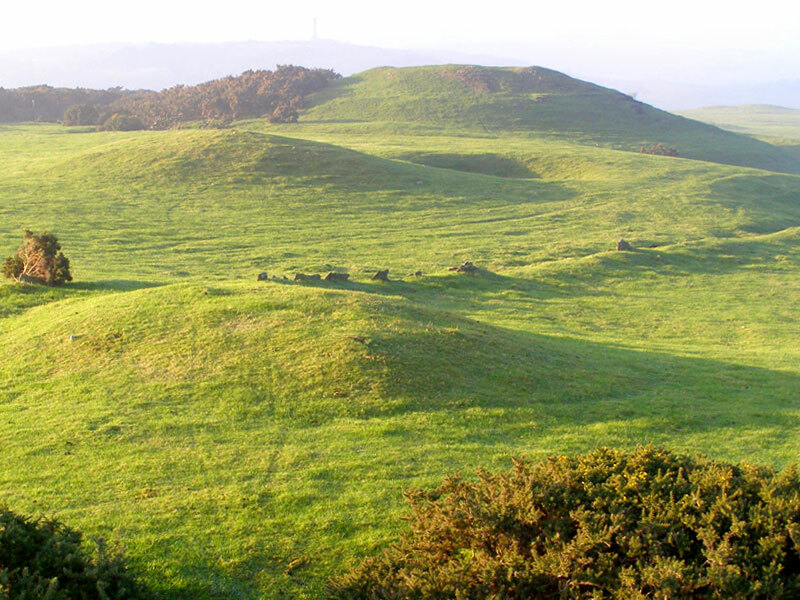 A mix of woodlands, moors and the famous 9 Barrow down with views across Poole harbour and Corfe Castle. 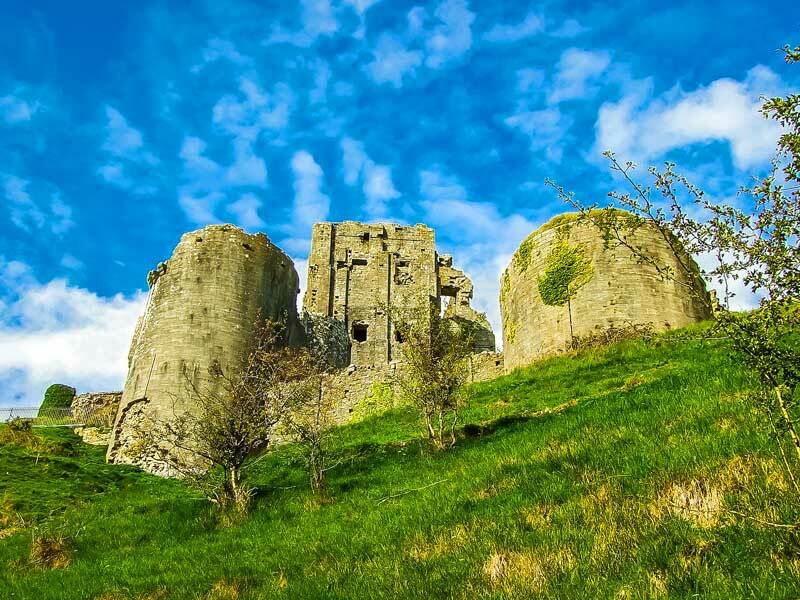 Gentle paced to allow for all the History to sink in, it’s the only way to walk around Corfe Castle which is steeped in history including the murder of a King in the square and Civil war battles that led to the term Turncoat! 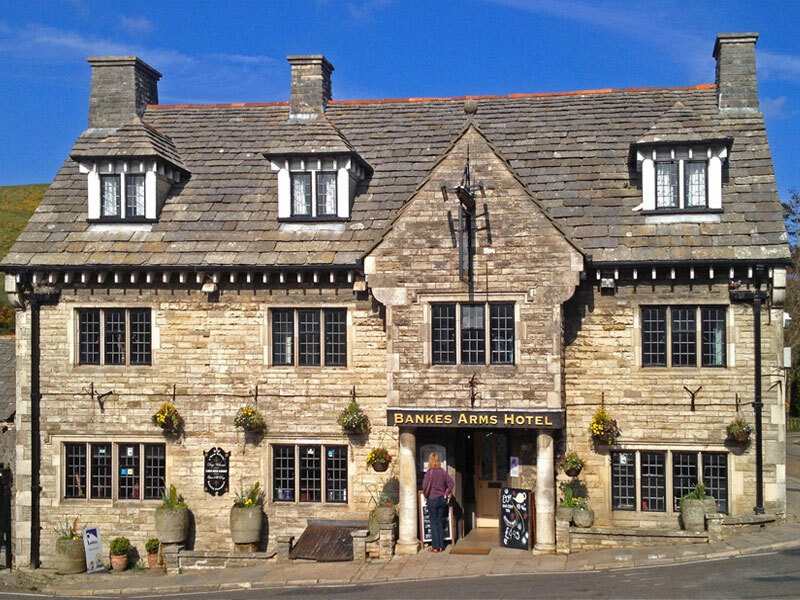 Learn about the historical buildings, smallest town Hall in England, The Oldest Pub and even the famous Steam Railway. It’s no wonder many of the buildings in this picturesque Village are now in the care of the National Trust. 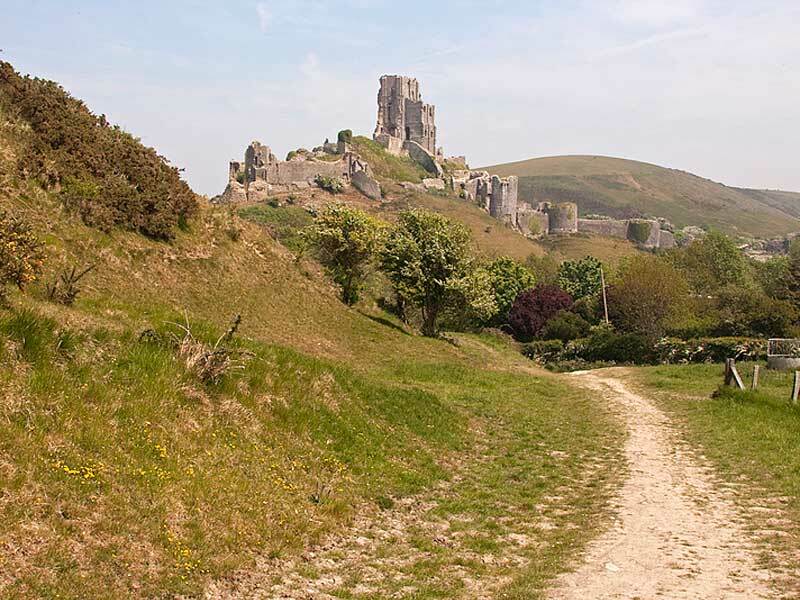 Our local guides will immerse you in Corfe through the ages and how this tiny place was once a significant Royal seat due to its unique geographical location. After the walk you can stay in the Village and make your own way back to the Hub, your next walk or the train to Swanage when you are ready! 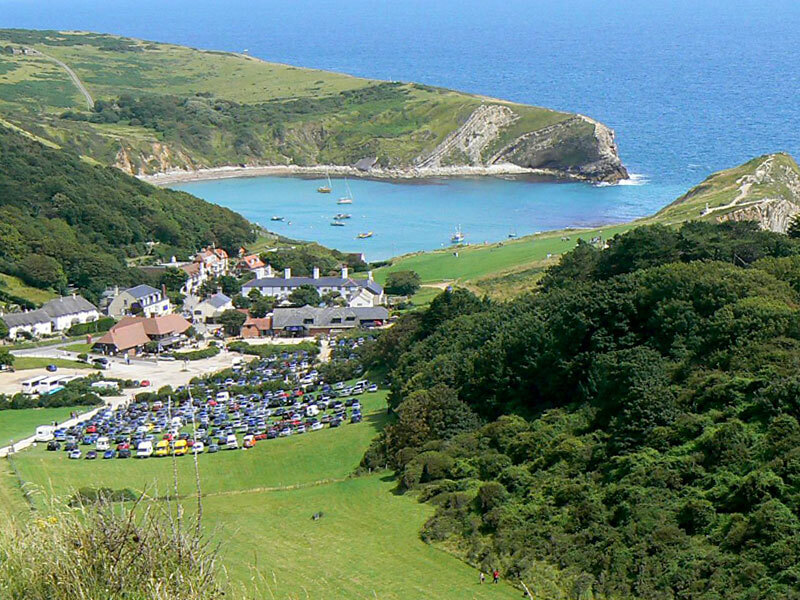 Capture the essence of Purbeck in one walk of just under 8 miles. 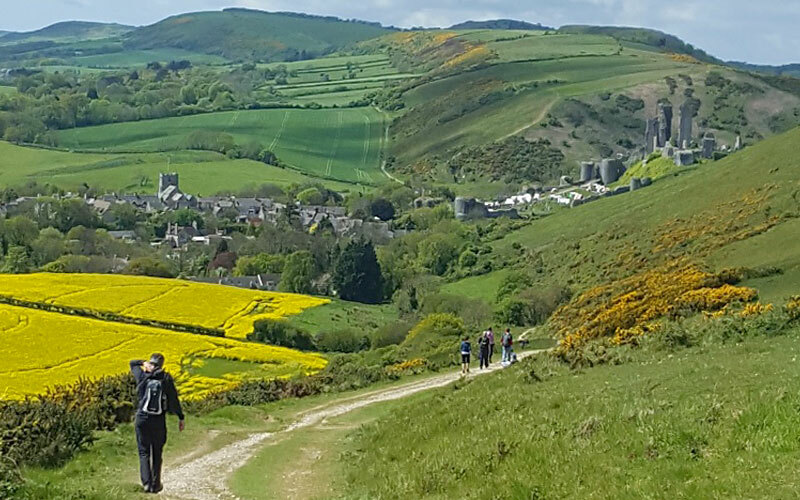 This walk leaves the stunning stone village of Corfe Castle or the main festival hub 20 minutes earlier and heads up to the ‘Look out’ via Corfe Common a heathland area where wild horses graze. From this higher viewpoint the walk descends down quarrymen’s paths towards the coast before heading round towards Chapmans Pool a stunning cove nestled on the Jurassic Coast. From here, the walk follows a tranquil valley back to the Kingston ridge before another descent back into Corfe Castle past a wonderful old Mill. The ultimate walk for those who love a longer walk on varied mostly level terrain but with one steady climb of circa 10 minutes. 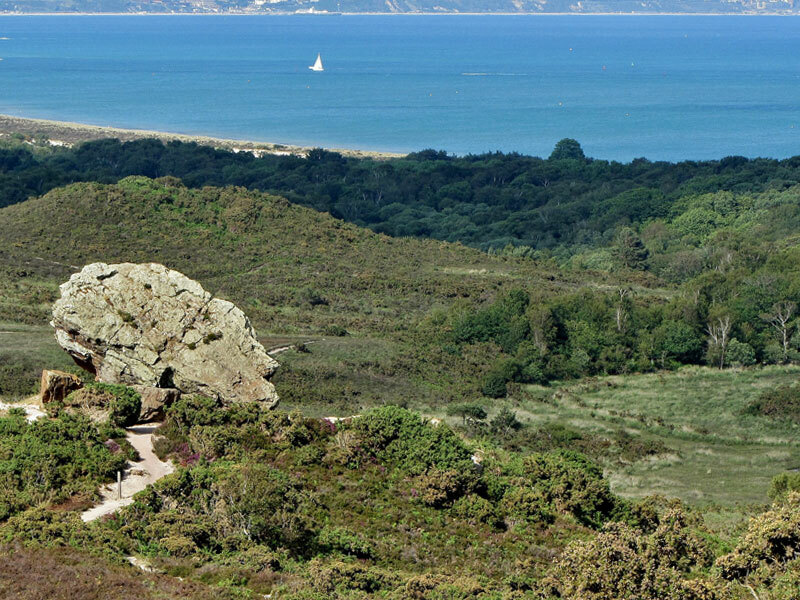 Also ideal if you are car free because this walk will enable you to get a real Purbeck experience including chalk ridges, heathland, forest and views across Poole Harbour. 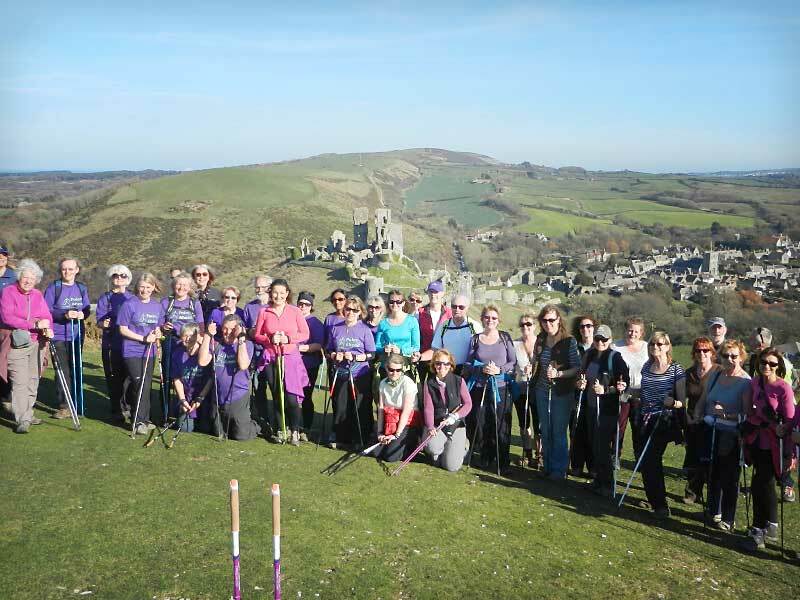 There is one climb in the last third of the walk which culminates in a descent with majestic views of Corfe Castle as you return to the HUB via the Victorian railway station and into the ancient Square. As with any walk that passes through Corfe at the end, your leader will give you the option to sign off there to enjoy the Village before making your way back to the Hub in your own time. 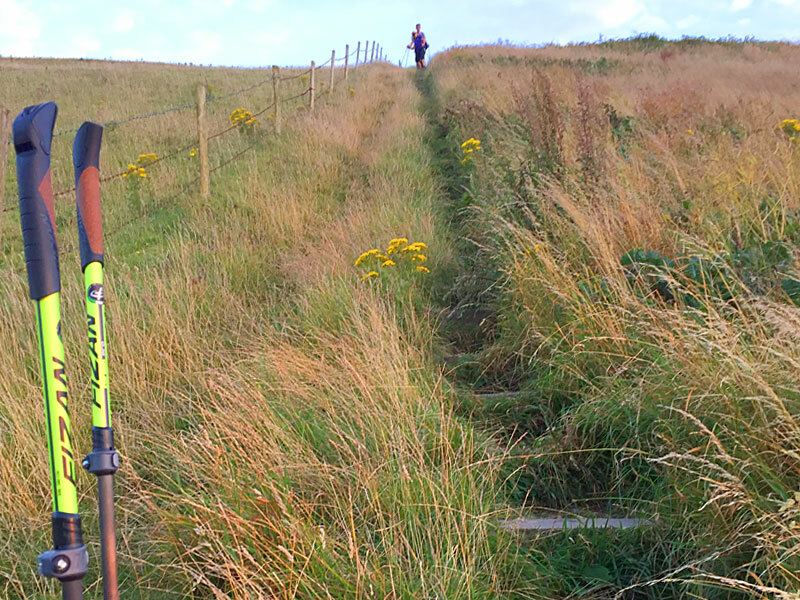 Providing 5 miles of envigorating walking we take the South West Coast Path up to reach Ballard Down. 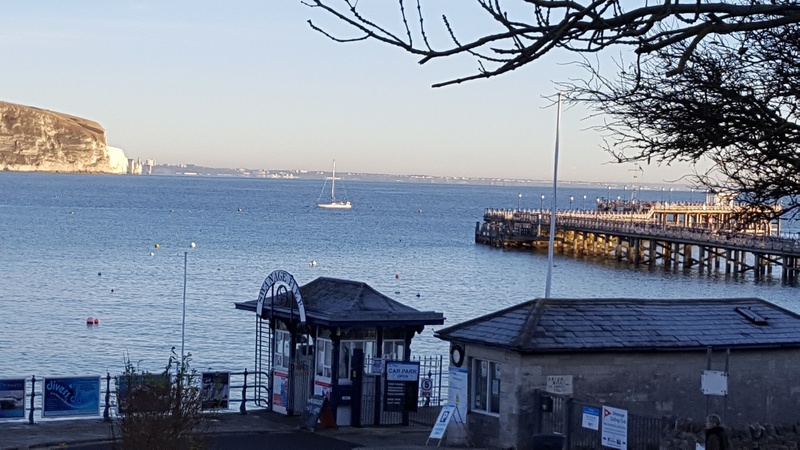 The climb is rewarded with panoramic views across the sea to the Isle of Wight, Old Harry, Poole Harbour and the heathlands of Studland ,Rempstone and Godlingstone. 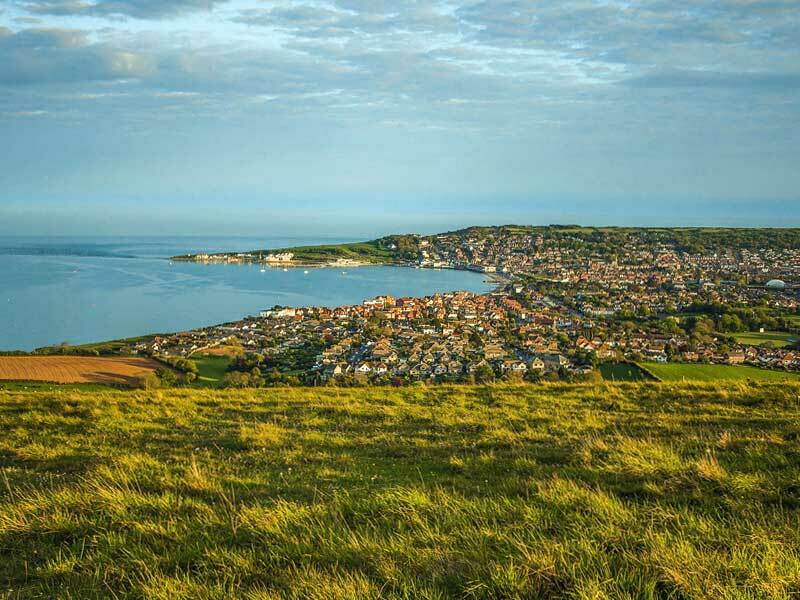 The descent to Swanage provides the best views across the bay and the town, with Peveril Downs beyond. A walk that gives you a real feel of the Isle of Purbeck. 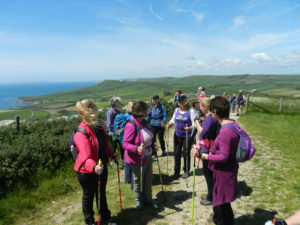 We begin a gradual ascent onto the ridge that sits between Swanage Bay and Studland Bay a climb is one of the most pleasant ways to get up to the Ancient Barrow which provides breathtaking and expansive views. 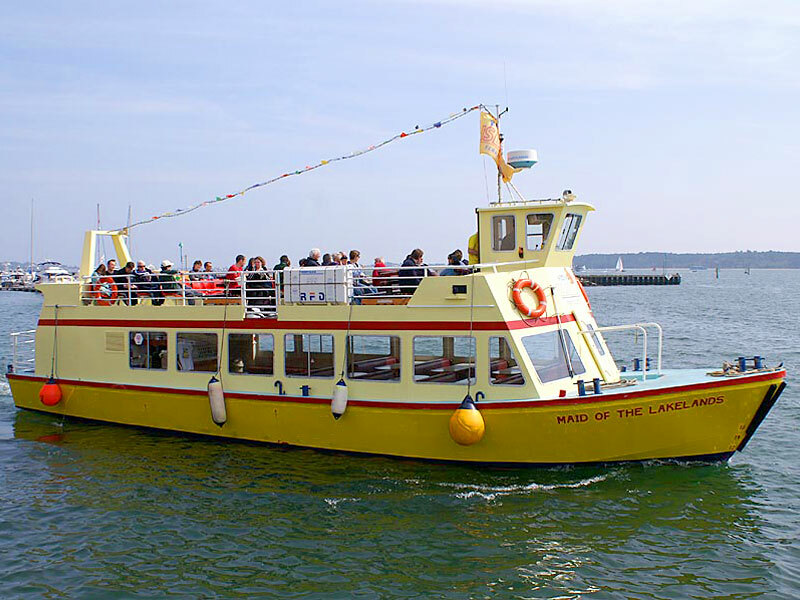 Poole Harbour and Studland Bay open up in one direction whilst Swanage Bay and the Isle of Purbeck reveal themselves in the other! 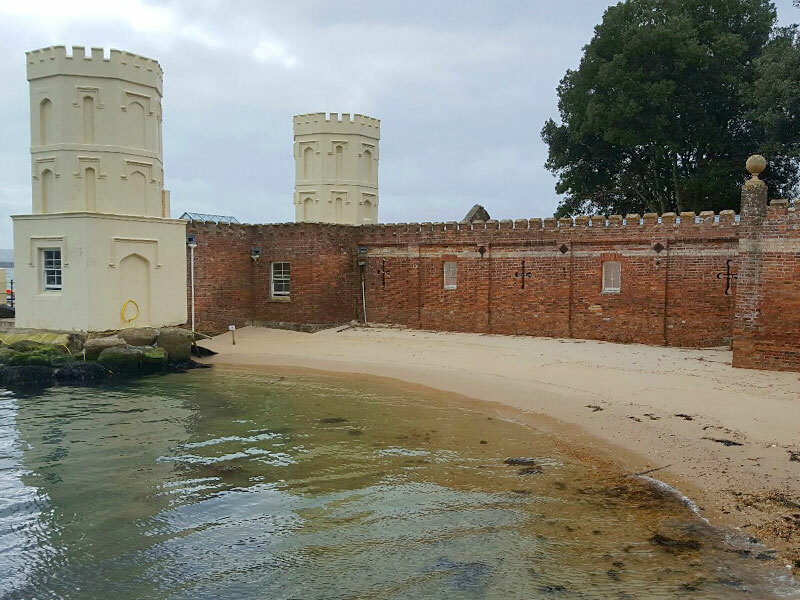 The Magical Brownsea Island sits in the Middle of Poole Harbour and is famous for red squirrels and castle built by Henry the Eighth and of course Baden Powell and the scouting movement. 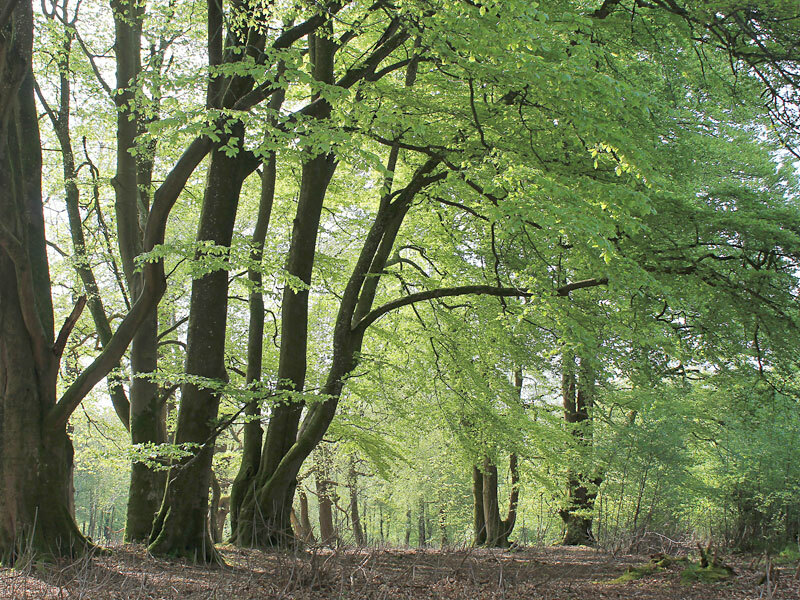 This walk covers the whole island which as a mix of woodland, unspoilt beaches and other unique habitats. Completely different from anywhere else, this Island is a gem. An entry fee (For non NT members) to the Island plus ferry charges will apply. Our most popular excursion in 2017 – we aim to repeat this walk every day in 2018 although it will remain a relaxed Sunday walk, great if you have tired legs after the Challenges!! Note: this walk starts at a location away from the Main festival hub so transport will be required.- it also involves a Ferry ride. 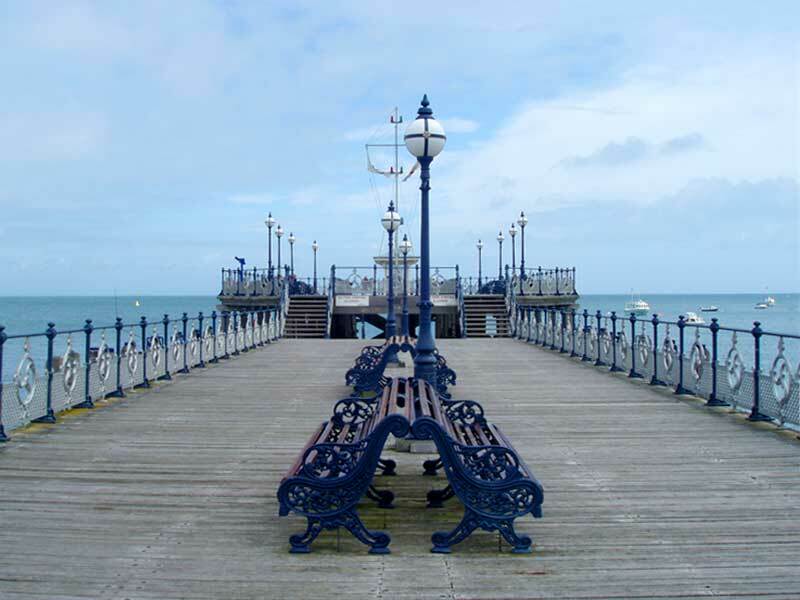 A Gentle urban history walk that encompasses the Victorian heritage of Swanage. 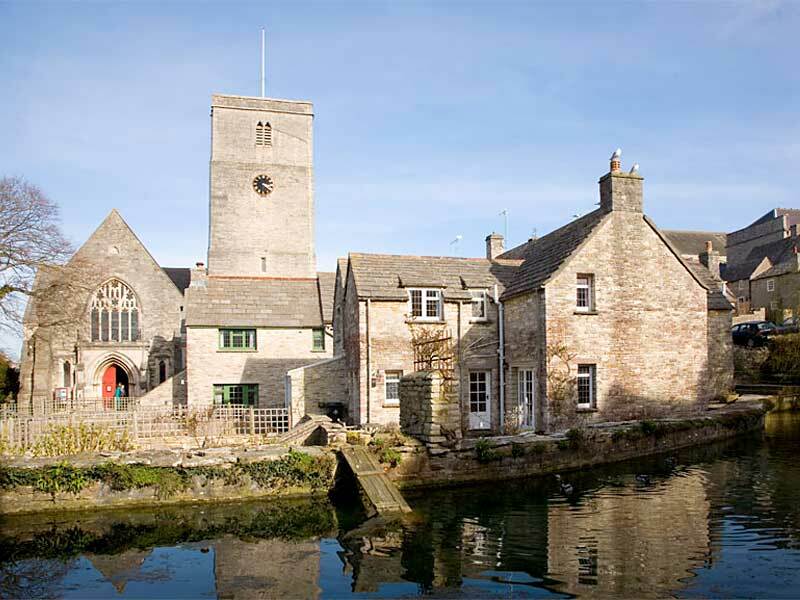 Take in the old Mill pond, Church, Steam railway and the home of George Burt whose mission it was to create a resort from a small seaside town linked to the shipping of Purbeck stone from local quarries which was used to build some of London’s most prized buildings. 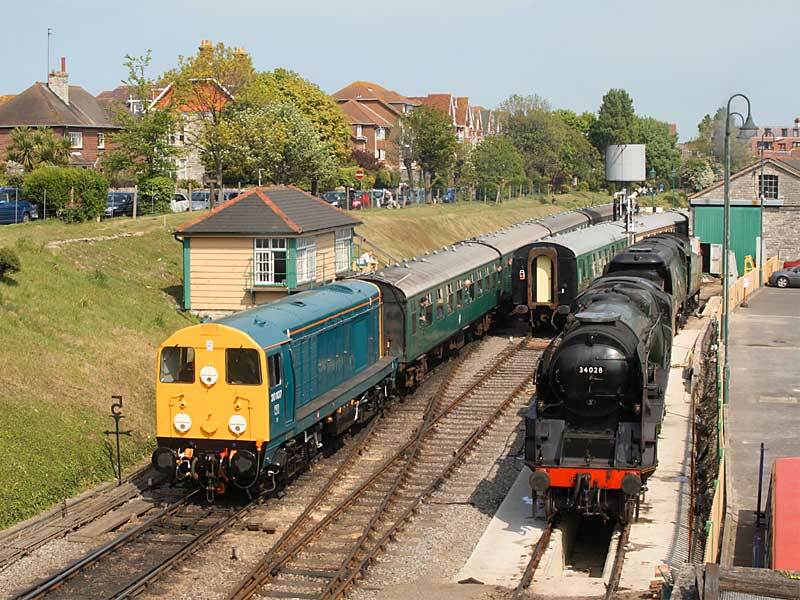 This will open up a totally different Swanage and is well worth the gentle pace and occasional road crossing – it rated as high on last years feedback! At the end enjoy some Oysters on the old Quay or traditional Fish and Chips by the beach Huts! 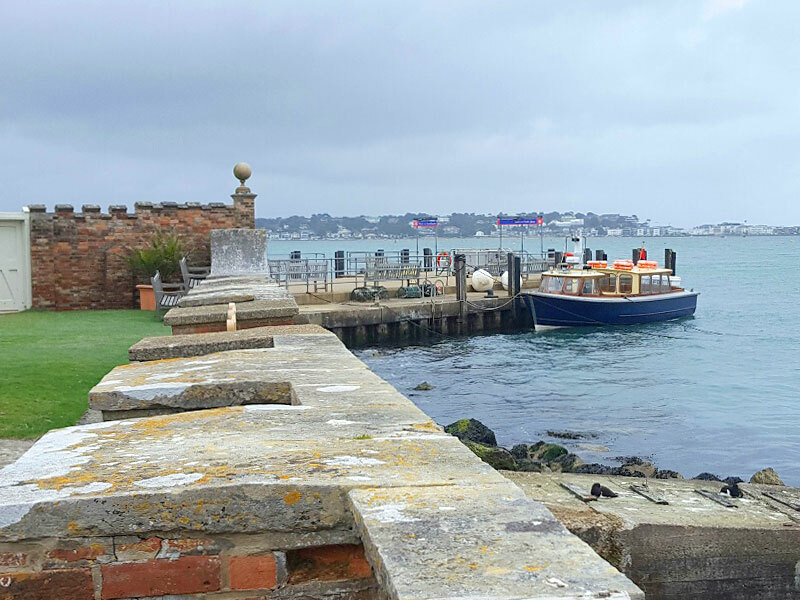 On Sunday you may be able to take this walk back into Victorian times and perhaps even step aboard the only surviving Paddle Steamer (The Waverley – subject to availability) for a trip along the amazing Jurassic Coastline to Weymouth for lunch! 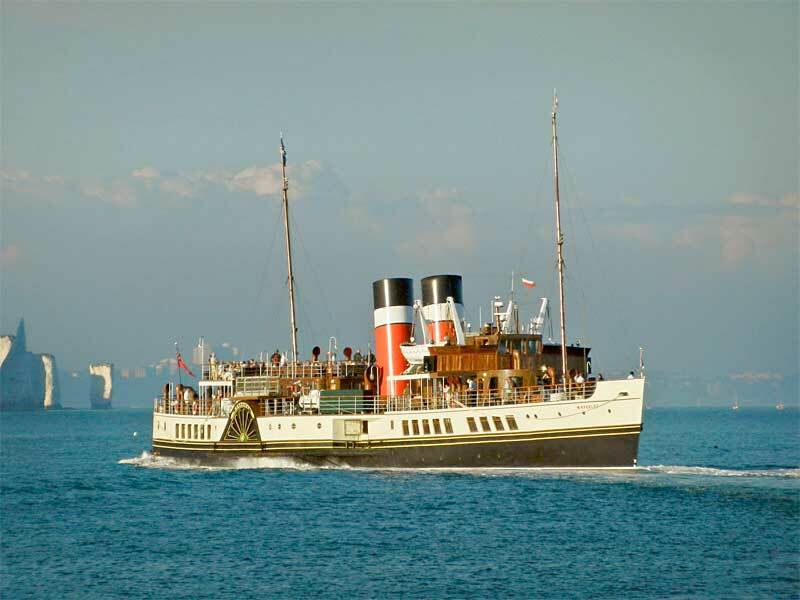 Note Waverley needs to be booked separately – details at the time of booking walk. 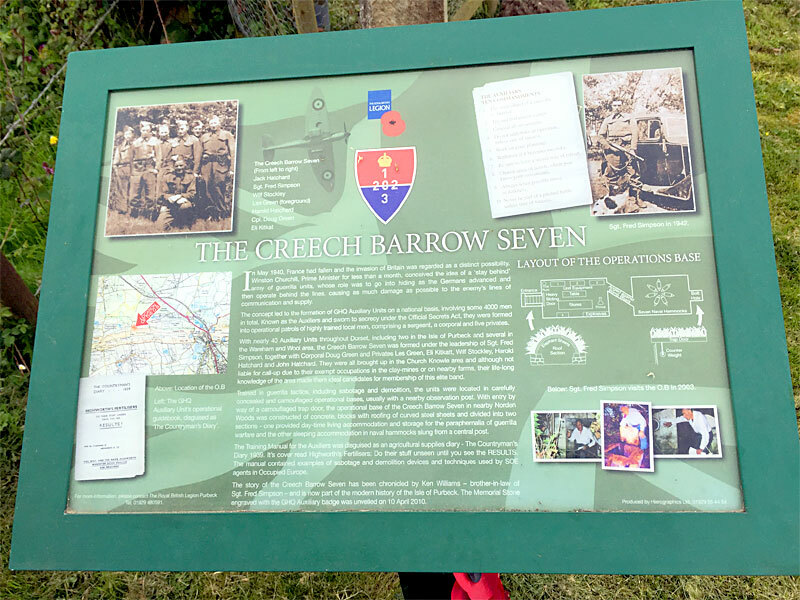 Note this is a History trail no poles needed as it is urban and not for those seeking a yomp! 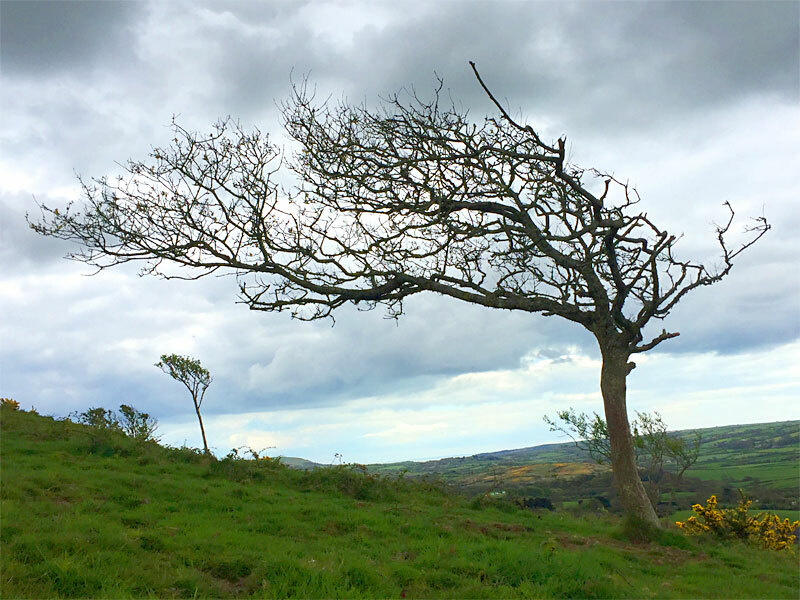 Join our wellbeing expert for a gentle mobilising walk around this famous and unique local beauty spot. 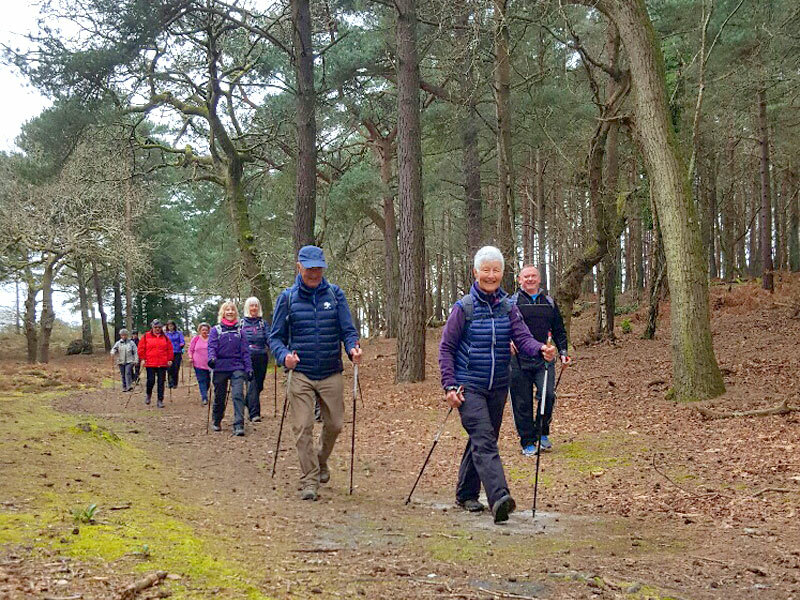 The NWUK wellbeing concept combines gentle pole walking with postural, strength and balance exercises in order to improve general health – great even for regular nordic walkers. 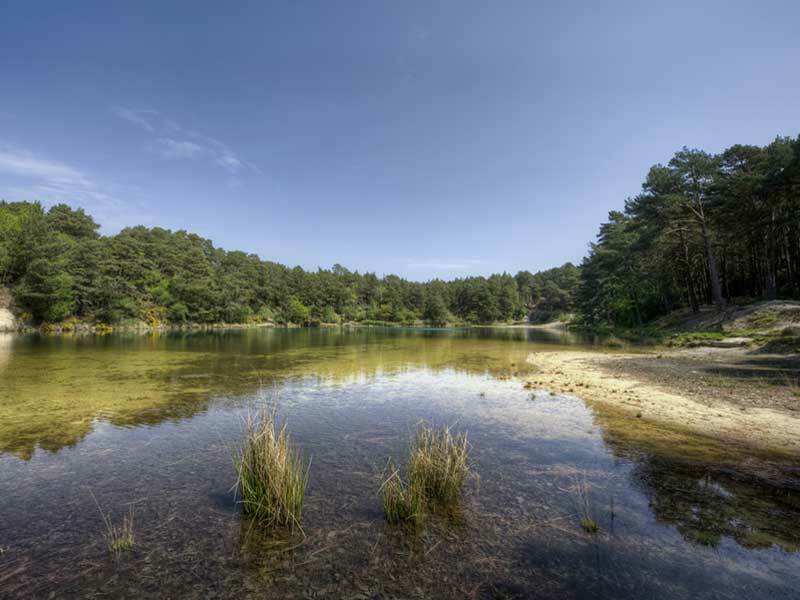 The lake in a former chalk pit constantly varies in colour because very fine clay in suspension in the water diffracts light in different ways, producing a spectrum of colour sometimes green sometimes turquoise. 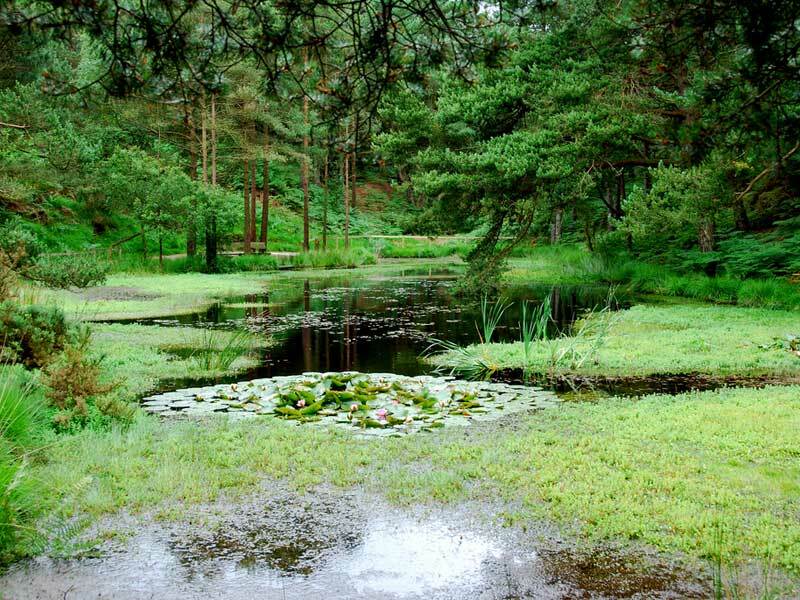 The surrounding 20 acres of heathland and woodland makes it a tranquil visitor attraction that also houses a museum, the Wareham bear collection and a tearoom! 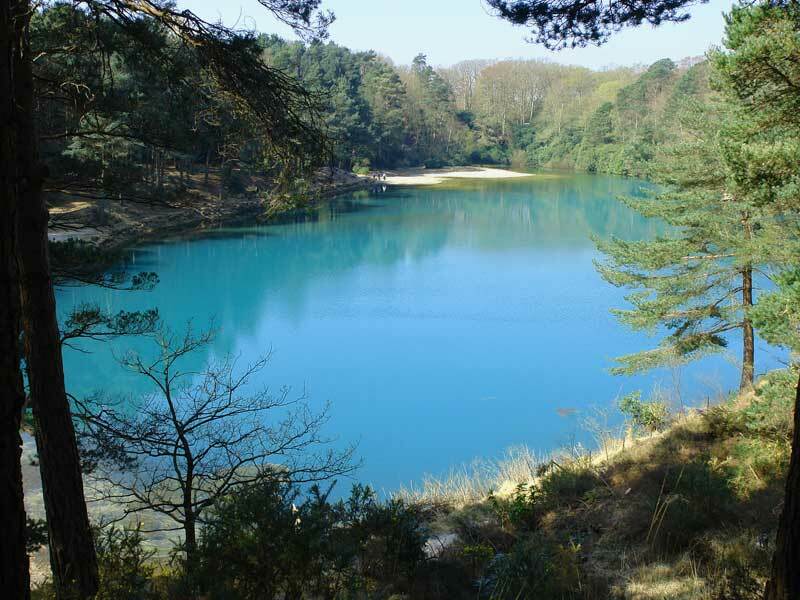 As a special arrangement with NWUK the Blue Pool have offered Purbeck festival goers who book this session entry to the Blue Pool for only £2.50. Distance: Circa 3 miles plus mobility exercises. Durlston is one of the best places to see Dolphins and other Wildlife plus a point where the Swallows say farewell to the UK as they head for warmer climes (we defy you to not have a tear or two as they do). 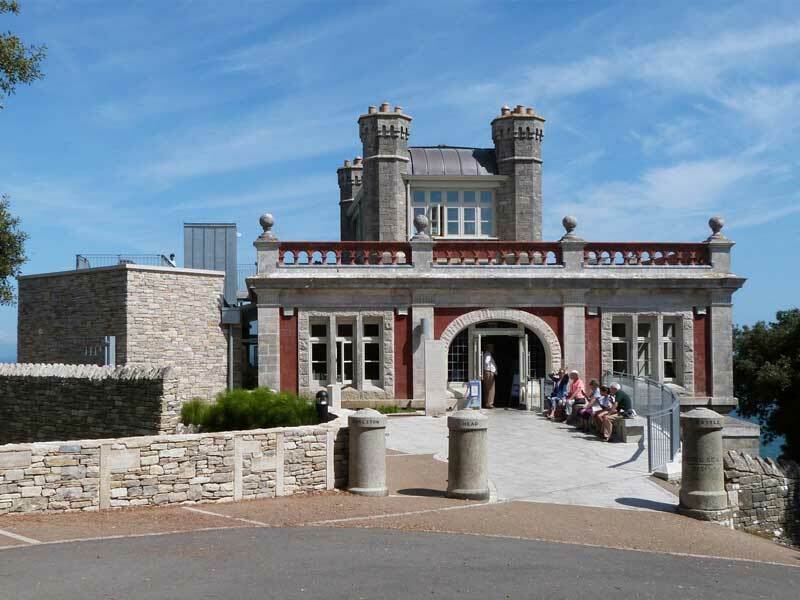 We will have a mix of routes that take in this award winning country Park which has everything from a Lighthouse to a Victorian Castle (now a Café) plus woodlands, meadows and Clifftop trails. Join expert David Kemp and local Instructors to explore the creation of the amazing Jurassic coastline. 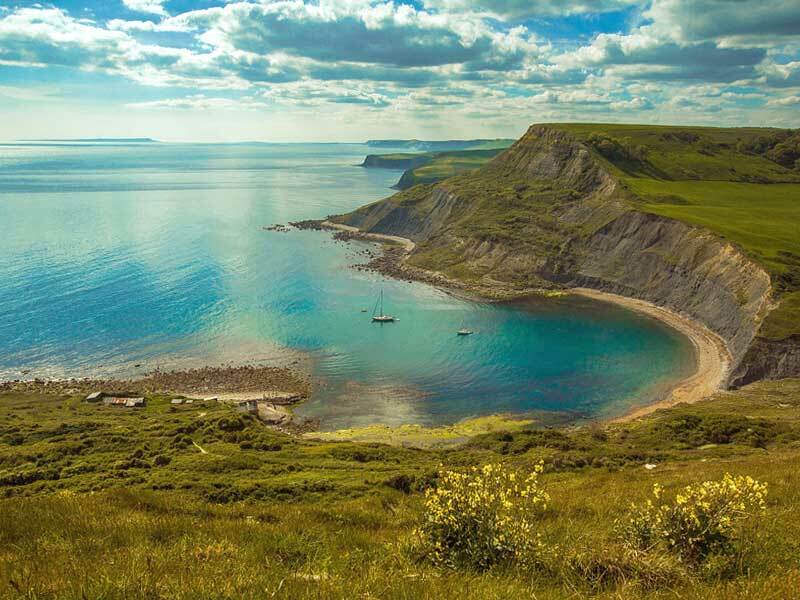 Another chance to take in the amazing scenery of the Jurassic coast only this time you might get to understand it too! David will explain how the chalk downland became the way it is through geology, erosion, and human influences, and why it’s so important, throwing a spotlight on the last 65 million years! David will explain the history of the rocks, earth movements and more recent erosion processes which has led to the spectacular scenery we see today. The nature of the coastline does mean these walks contain climbs and descents – mainly via steps but sometimes slippery. Hardy Trail plus optional visit to his birthplace. 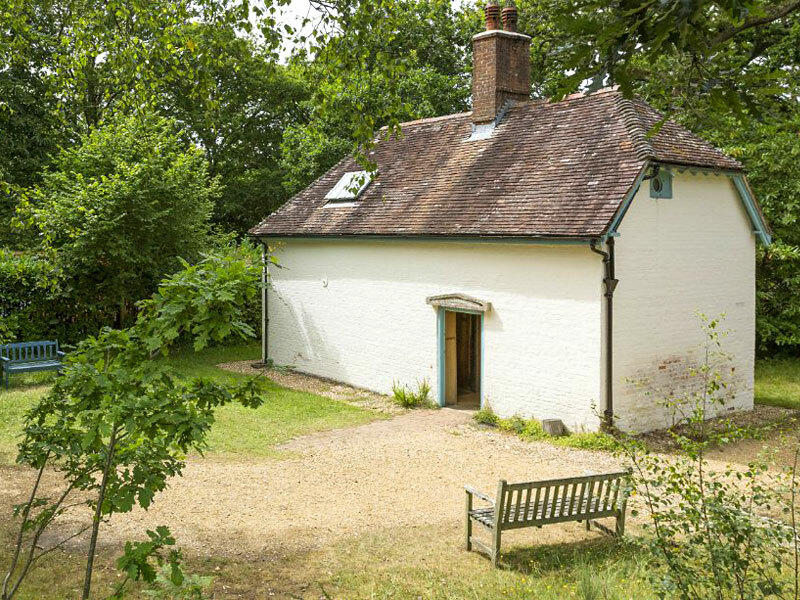 Take a route through Thorncombe Wood from the tranquil cottage where Thomas hardy was born to the churchyard at Stinsford where his heart is buried. This countryside is steeped with locations that feature in his novels and form his fictional Wessex. A mixed trail that takes in wooded heathland, typical rolling Dorset grazing land and open meadowland. This route can be quite muddy die to the proximity to the river valley and there are a lot of stiles on the route due to the farming activity that makes this iconic Hardy Country! 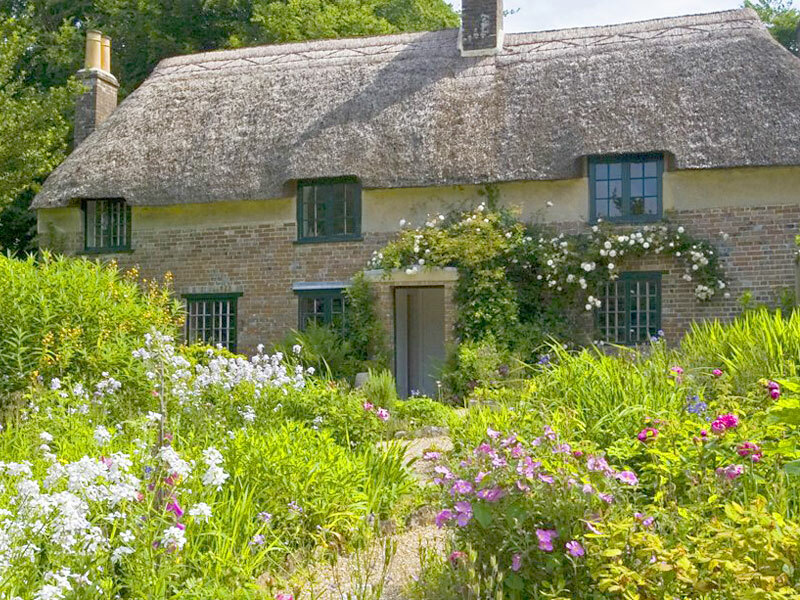 Optional visit to Hardy’s Cottage and Gardens (National Trust). 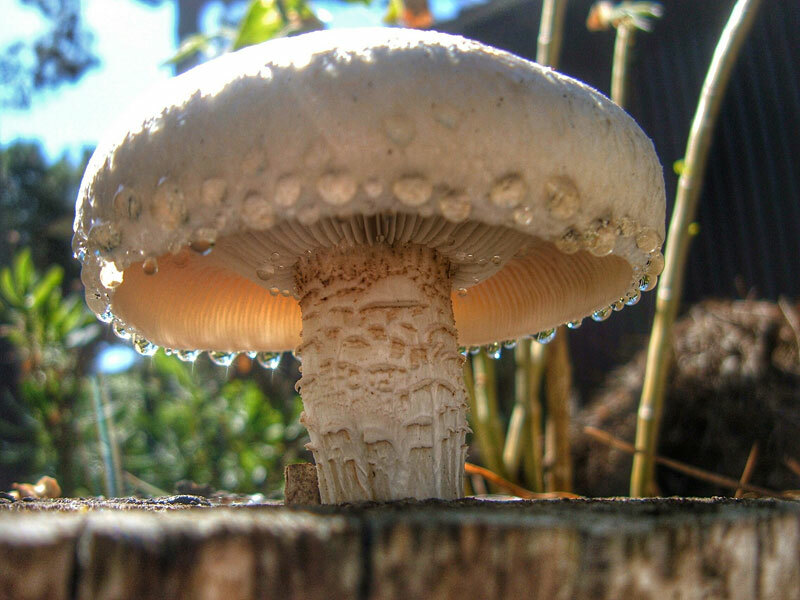 Join our foraging expert the aptly named Joe Peartree to learn about the edible delights that can be found on the cliffs and in the woodlands of Purbeck. 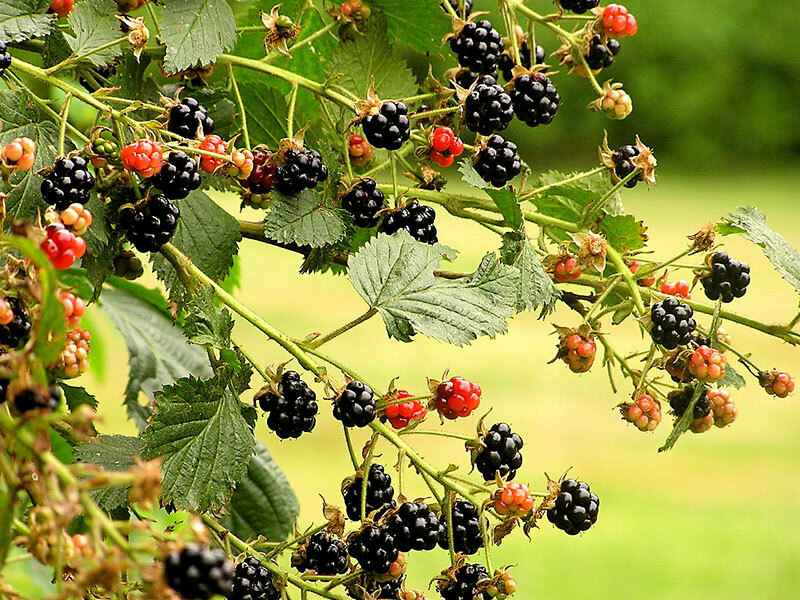 Learn simple identification skills and pick up tips on how to use what nature provides…and we don’t just mean blackberries either. Previous trips have resulted in learning how to make a veggie ‘Panacotta’ from seaweed and harvesting razor clams plus coastal fungi. 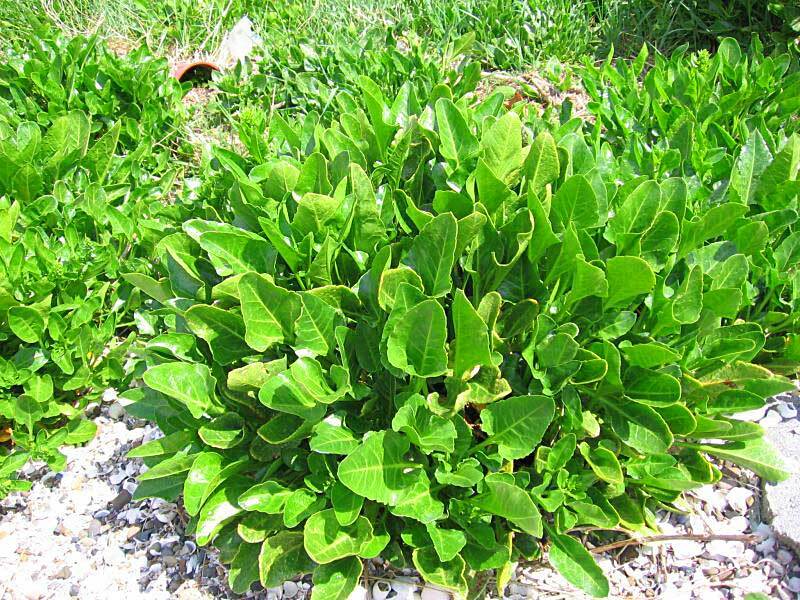 Joe will point out the many uses of plants you will encounter daily on your nordic walks and leave you with a different view off the greenery around you! These educational walks cover the subjects of sustainable harvesting, the law, equipment required and safety. Note this is an optional NO POLES walk as you may wish to keep your hands free to pick up goodies. 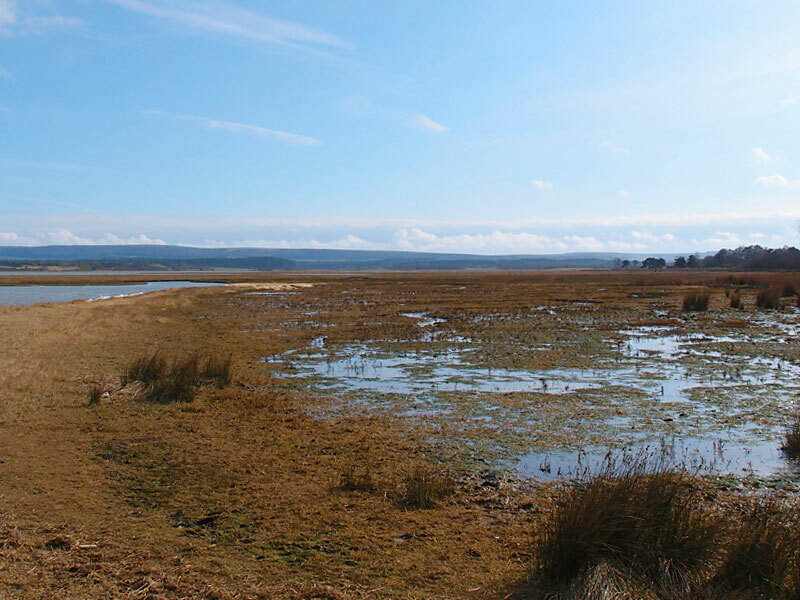 We have a range of walks starting at the RSPB visitor centre which include the unspoilt secluded beach at Shipstal Point where you can view the tiny Long Island and watch sea birds and Sika Deer feeding along the shoreline. 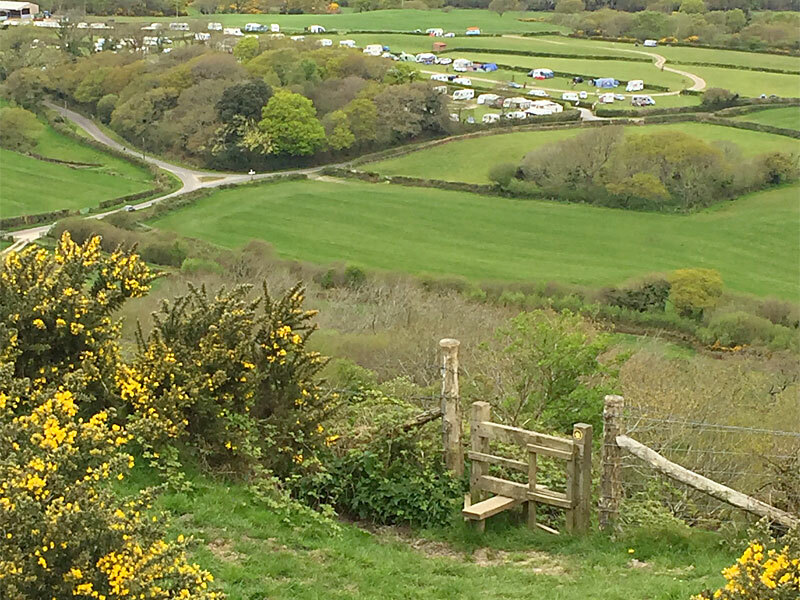 Another loop takes onto the surrounding Heath Land that is a haven for all kinds of wildlife and provides breathtaking views across the harbour and towards Corfe Castle. Many of these walks are on fairly flat and even terrain. Head through the Forest from Moreton tea rooms to Clouds Hill the tiny hideaway cottage of TE Lawrence known as Lawrence of Arabia. 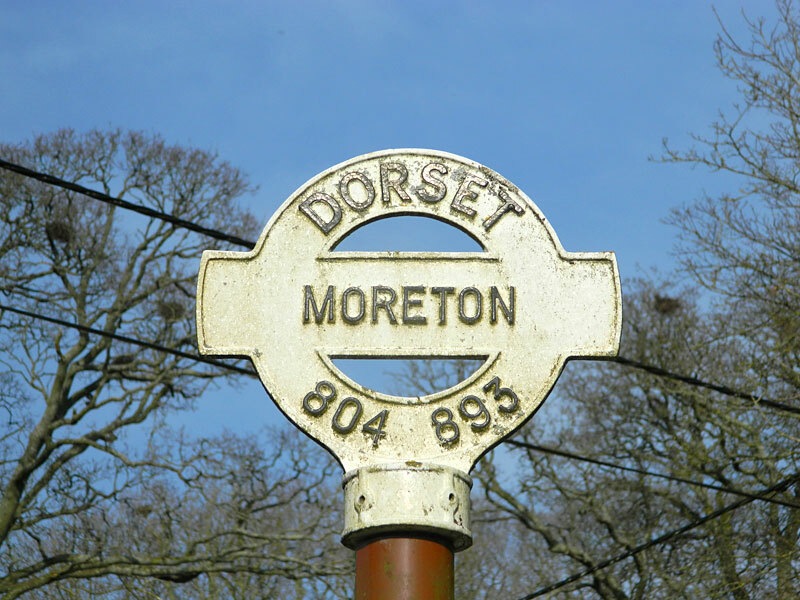 The famous writer died in a motorcycle accident near to his home and famous figures such as Churchill and Lady Astor were present to the funeral in the Village of Moreton which is a stunning Village set on the banks of the river Piddle where there is a huge Ford with a walkway bridge. Here you can visit the stunning Church (check out the Window!) 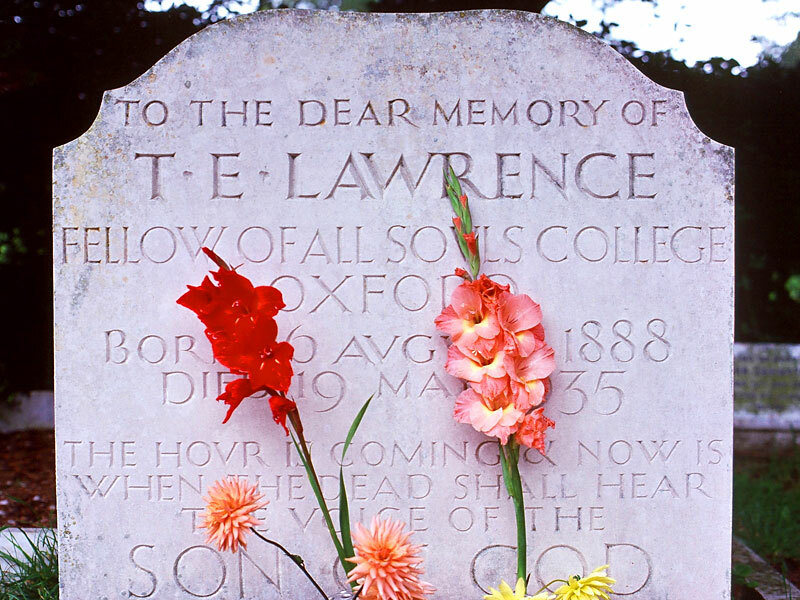 and the tranquil churchyard where Lawrence lies in rest. 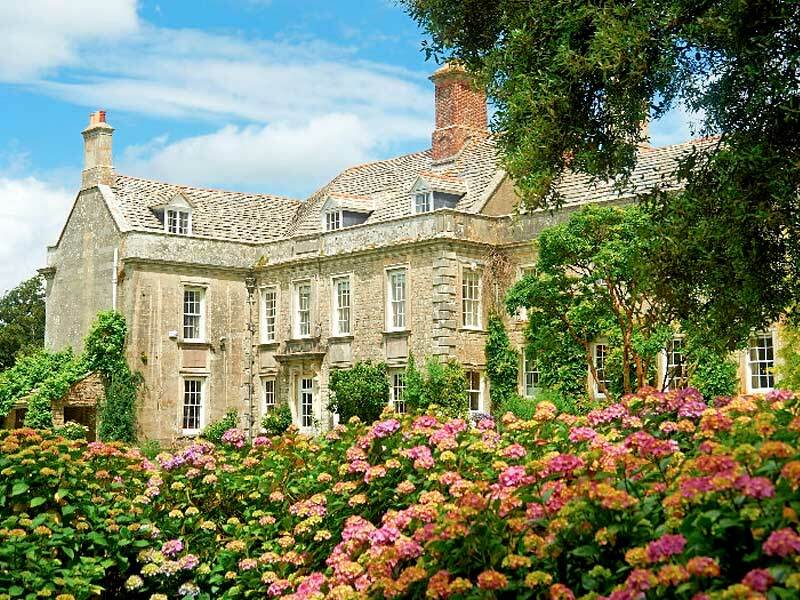 At the end there is a choice of TWO tea rooms and a walled Garden to explore! This walk is on flat even terrain and woodland trails which are not too taxing but can get muddy when really wet. 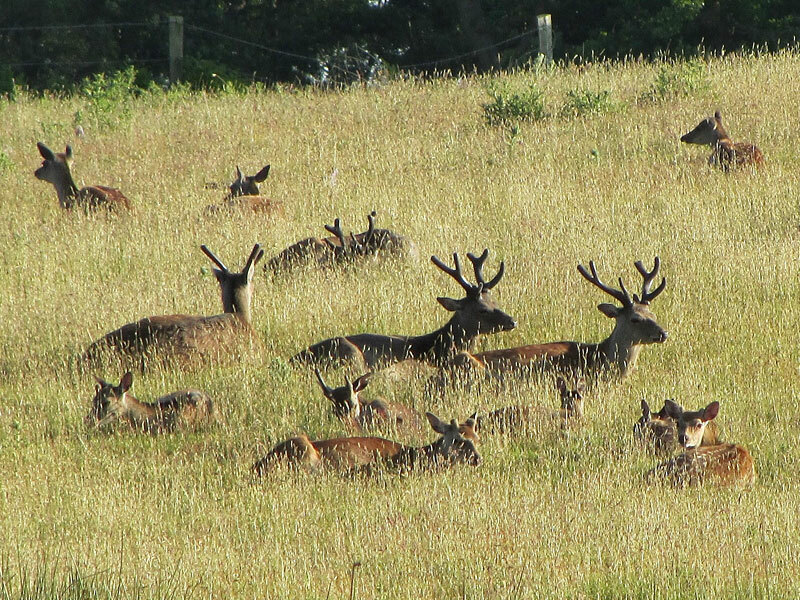 Join us for a walk with the wildlife in a magical remote location shared by Sika Deer and a host of birds and wildlife. 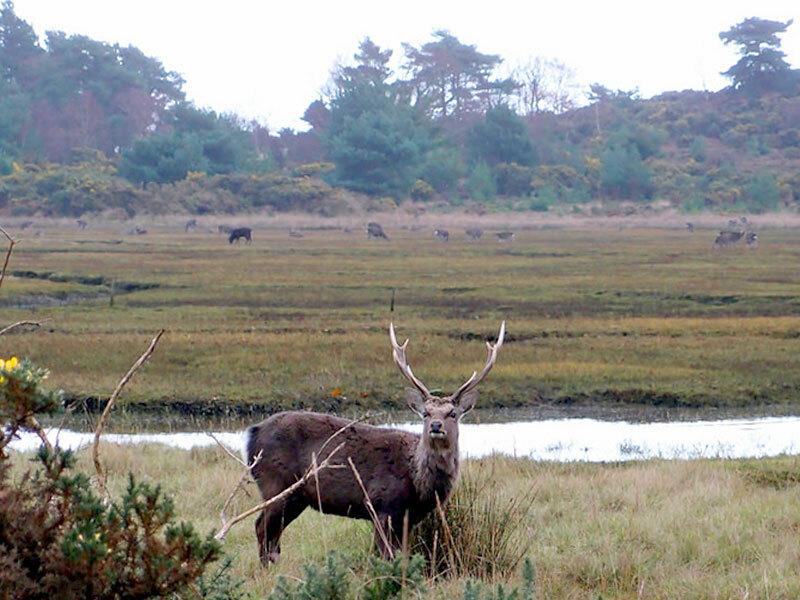 Courtesy of the amazing Arne RSPB nature reserve we have exclusive access to a tranquil mix of beaches, moors and woodland in which to explore as dusk falls. 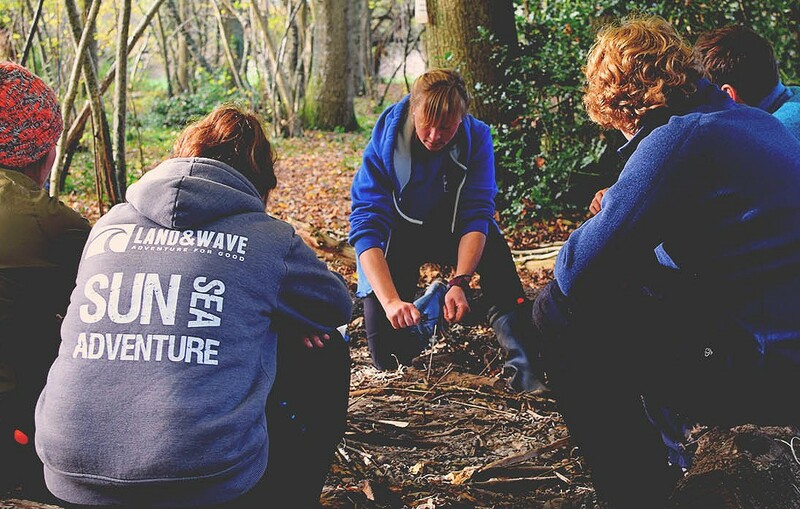 We will make camp by a remote beach as our supper is cooked over the fire as we watch the sunset over Poole harbour. After supper we will head back through the darkness totally at one with the wildlife. 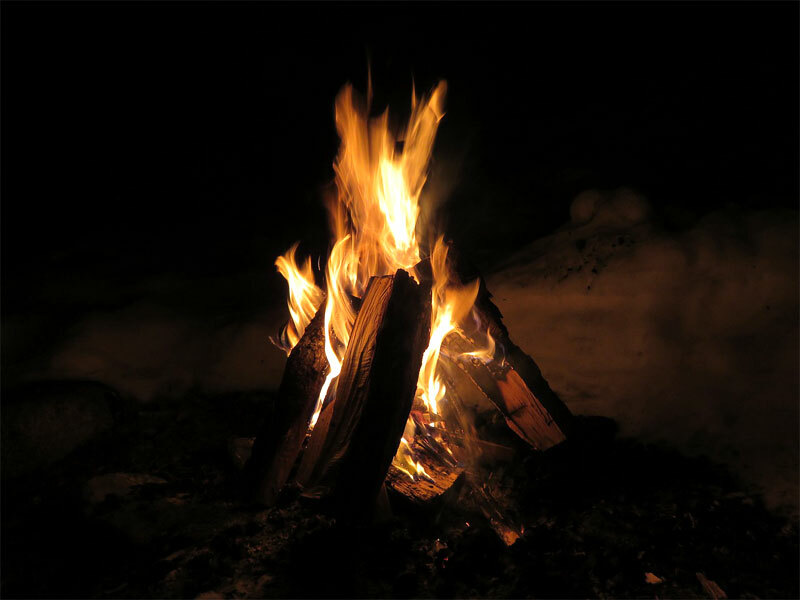 Headtorches will be essential but paths are relatively well managed and trained leaders will be on hand to keep everybody safe. This walk will only be available on the FRIDAY Evening as part of our Friday Supper series and there will be limited spaces. Join our Mindfulness expert for a workshop in which you will learn some basic mindful techniques. Learn how to switch off the noise of the world and reconnect with your body and nature. 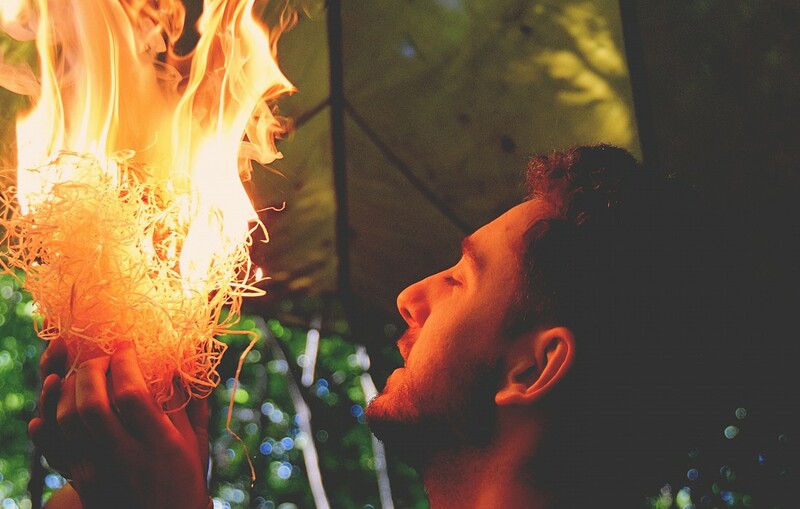 This enlightening workshop culminates with a mindful walk in a stunning location. What better way to put the techniques into practice. 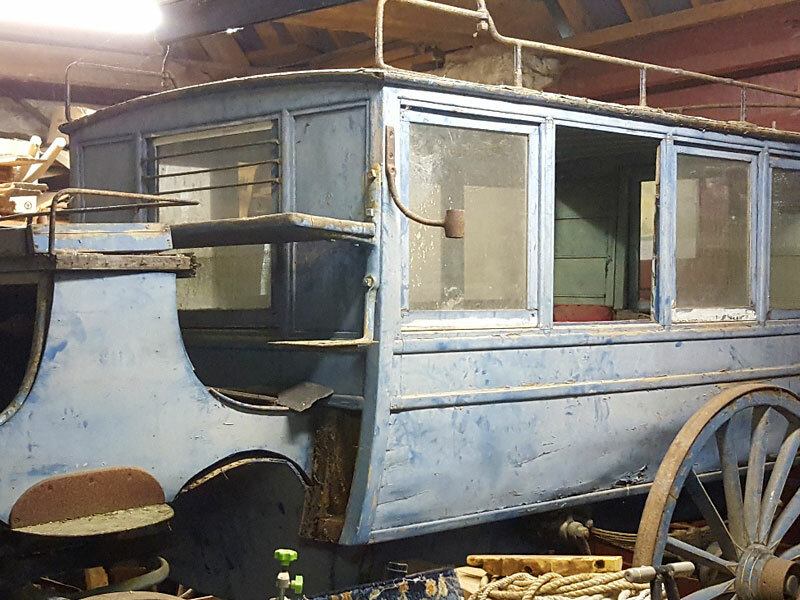 Some workshops may be away from Main Hub so transport may be needed. This session is proof that the world is a workout! Who needs a gym when you are gifted with natural terrain that is guaranteed to provide every element required to build total fitness outdoors in a location where you can look for dolphins and say goodbye to the swallows as they head to warmer climes! Devised by NWUK Director Gill Stewart who runs a weekly class called Hills and Drills on this circuit, this session has it all speed, balance, intervals, endurance training, technique, strength, flexibility and even mindfulness! NWUK Delivery Partners will put their own take on Gills circuit which provides a myriad of ways to make you work hard!